Interested in Nightjars, Moths, Myxomycetes & moorland management? An Invitation. Friday 12 April 2019 will see the Forum’s Annual Meeting and, sad to say, that it will see Lucy Mitchell deliver her final installment from her Nightjar research on Thorne & Hatfield Moors. This popular presentation, delivered by an amazingly dedicated ornithologist will report on the radio tagging of these enigmatic birds which breed on our local moorlands and the issues they face in terms of survival and the dynamics of this ‘northern’ outpost of the species. Nightjar chicks, their cryptic camouflage can make them difficult to spot. Image: Lucy Mitchell. Other talks include an update on the management works undertaken on Thorne & Hatfield Moors by Tim Kohler of Natural England and the impact this has had on the habitats and species of the peatlands. There will also be a talk on recent discoveries made by local field naturalists, for example the amazing (re) discovery, 127 years to the day of Buckleria paludum aka the Sundew Plume moth that it was first discovered in Yorkshire by G T Porritt. The discovery of Diacheopsis mitchellii, a minute myxomycete, previously known from just two sites (one in Japan and one in Sussex). Buckleria paludum, a very small plume moth whose larvae survive eating Sundew plants. Image: Helen R Kirk. Diacheopsis mitchellii, a minute myxomycete found on Thorne Moors and, lacking a vernacular name was, in the interim nicknamed ‘Thorne Caviar’. Image: Martin Warne. The talks are open to the public, if you are interested then please contact execsec@thmcf.org for more details. The talks will be followed by a light buffet lunch and the opportunity to grab some publication bargains and network with other interested naturalists and visitors. Posted in Executive Secretary | Comments Off on Interested in Nightjars, Moths, Myxomycetes & moorland management? An Invitation. Forget the media hype around ‘Black Friday’ offers, this is a real offer …. The name of Peter Skidmore to many is synonymous with The Biology of the Muscidae of the World (Series Entomologica), with Diptera and with entomology in general. Some readers will be aware that he did a great deal of entomological recording on Thorne and Hatfield Moors SSSI. What readers may not be aware of is that he was also an entomological illustrator. In 2006 the Forum were proud to be able to publish a number of Peter’s superb illustrations in An Inventory of the Invertebrates of Thorne and Hatfield Moors. Following various complimentary comments about the artwork, the Executive commissioned a print run of 100 sets of ten quality art paper prints each signed by the artist Dr Peter Skidmore and offered as a Limited Edition Set. These Limited Edition Prints were initially offered at £25 and came with a certificate, information on the species illustrated and background information on Peter Skidmore and presented in a folder. There are a few sets remaining and the Executive are pleased to offer these at just £10 plus postage and packaging at £2. So, if you are scratching around for something different for a friend or relative with an interest in natural history then these might be just such a gift? 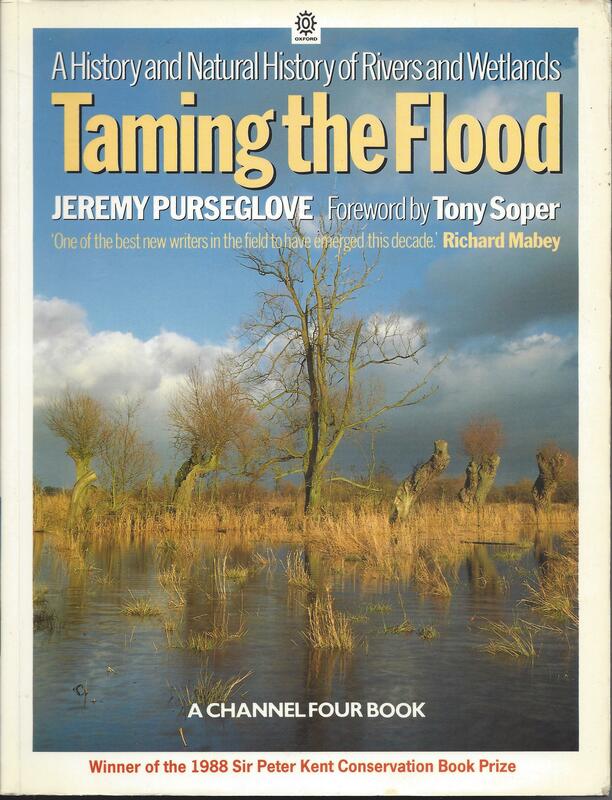 Please send a cheque made payable to Thorne & Hatfield Moors Conservation Forum for £12 to THMCF Publications, PO Box 879, Thorne, Doncaster, DN8 5WU. Only a few sets remain, so to avoid disappointment make sure that your order can be fulfilled and email execsec@thmcf.org first to check availability. Hidden landscapes, Dynamic habitats & Sphagnum? Further to the previous blog post inviting people to the public presentations at our Annual Meeting on Friday 6 April, the Executive are pleased to provide the details of a third speaker. Nika Shilobod (University of Plymouth) “Rediscovering the ‘Wildscape’: Reconstructing Hidden Landscapes through a Case Study in the Humberhead Levels”. Please make use of the lunch time to network and to pick up publication bargains. The Centre has been booked until 3pm so people will be able to network amongst themselves. There is no charge for the talks but a donation in lieu for refreshments and light buffet lunch will be used towards the purchase of more research equipment (particularly the tags needed to track the nightjar activity). Posted in Executive Secretary | Comments Off on Hidden landscapes, Dynamic habitats & Sphagnum? A new species of fungi for the Thorne Moors list? Wednesday 29 November started out cold (4 degrees C) but sunny and bright. The afternoon saw a couple of intermittent showers. But otherwise and dressed like an onion, it was one of those days when it’s great to be outdoors and rummaging about in carr woodland looking for things of natural history interest. The woodland floor was a quagmire and very wet in places, particularly where deer had passed through and churned up the mud. Not to be deterred, using the faithful thumb stick as a very useful tool to test the ground ahead and pushing aside with ease bramble or other obstructive material, the hunt was on …. The microclimate in the woodland recently has been conducive to fungal growth and this rather intriguing material was spotted on a fallen willow branch. Immediately recognisable as a species of ‘oyster’ fungi. No stem was present and the fungi was growing directly from the timber. Particularly noticeable was that the fan was possessed of hairy-fibrillose growths in its dark centre. I nick-named it ‘Punk-oyster’ and took the photographs below to aid identification and reference upon return to my library. Out came the faithful Phillips (1981), Bon (1987) along with various other tomes but nothing akin to the grey ‘Punk-oyster’ we’d photographed. Trawling the internet can often produce useful indicators but not in this instance. Drastic measures were needed now so I posted an appeal for assistance into the ‘twittersphere’ and in no time at all the helpful Lukas Large a Natural Science Curator based in Birmingham came back with a link to a site which certainly tested my language skills but it was an start to determining the material. Further exploration of the web established that it had been found in the Sorby NHS area in the Limb Valley in 2010, so whilst not a new VC63 a possible new record for Thorne Moors? Keen to get confirmation of the tentative identification I emailed the images to Chris Yeates the Mycological and Lichenological Section Recorder of the YNU. The prompt response confirmed the determination and provided some useful additional background information on the species including the distribution map for Yorkshire. This was great news and pleasing that the images were deemed of good enough quality to allow determination. It is not always possible to make identifications from photographs and in the case of fungi, spores are often needed for microscopical examination. Chris added that Apparently some authorities consider this as a form of R. applicatus; I’m not sure whether the necessary sequencing has been done but macroscopically they seem perfectly distinct. Chris also remarked that the map below was prompted by this record. Whether this somewhat compact pattern is real or not of course is difficult to say, although this species has few records north of Yorkshire (those do include single records from Orkney and Shetland!). Your record is indeed the first from the Thorne area as far as I am aware. Fig. Distribution map of R. trichotis in Yorkshire courtesy of C. S. V. Yeates. So, is this a new record for Thorne Moors? Let me know if you believe differently. Reference: Taylor & Hobart (1996) Thorne & Hatfield Moors Papers Volume 6. Posted in Executive Secretary | Comments Off on A new species of fungi for the Thorne Moors list? The British sphagnum list stands at some 34 species. Thorne Moors SSSI has half that number (Wall 2014) and in 2016 a survey was undertaken to try to relocate a number of species not recorded in recent years. A report on the findings by Sheehan et. al. can be found in Volume 10 of the Thorne & Hatfield Moors Papers. Follow up fieldwork is scheduled for Friday 8 December, anyone interested in taking part should contact execsec@thmcf.org for more details. If last years fieldwork is anything to go by then this season promises to provide some interesting data. In 2016 a three hour search yielded some 13 species, this year it is hoped that there will be more time spent in the field in addition to more surveyors working the selected area around the Southern Canals. Mosses and Liverworts of Britain and Ireland: a field guide is recommended reading. Anyone interested in bryophytes or mosses is encouraged to look at the British Bryological Society‘s excellent online resource of species accounts. For more information on the species to be found on Thorne Moors see particularly Thorne Moors A Botanical Survey. Available locally from the Thorne Times office or by post (contact execsec@thmcf.org for more details). We recently posted advance notification about the Forum’s Annual Meeting on Friday 31 March 2017. We are delighted to provide the titles of the two talks by researchers currently working on Thorne & Hatfield Moors SSSI. “Dynamic habitat selection of the European Nightjar from a Thorne & Hatfield Moors perspective” Lucy Ryan (University of York). “Gimme shelter: Role of refugia and impact of restoration on insect conservation on Thorne Moor” Ashley Buchan (University of Edinburgh). Lucy’s talk in 2016 was very well received and in no small part down to the enthusiastic and informative delivery by a researcher clearly passionate about her subject. This year will see her providing us with an update on her research which will continue through the 2017 season and also involve the 2018 season. Nightjar chicks: fantastically camouflaged and not easy to spot when they remain motionless to avoid predation. Ashley is looking at invertebrates and the succession assemblages across a host of areas ranging from parts of Thorne Moors which saw peat extraction cease in the 1950s through to the early 2000s when the Government of the day bought out the extant planning permissions from Scotts (UK) Ltd for some £17.3m Ashley’s work has involved looking at characteristic species of particular habitats and how these habitats change over time. This work along with Lucy’s will hopefully inform management planning for these important sites. The talks, which are scheduled to take place after the formal business (Forum members only), are open to the public but places do need to be booked, contact the execsec@thmcf.org to register an interest. There is no charge for the talks but a donation in lieu for refreshments and light buffet lunch will be used towards the purchase of more research equipment (particularly the tags needed to track the nightjars activity). Copies of the two recently produced faunas Checklist of the Lepidoptera of Thorne Moors 1837 – 2014 and The water beetles of Yorkshire will be available for purchase along with other Forum publications. Lest we forget the evidence? Amidst the mayhem of ‘Brexit’ claim and counter claim and the call, nay plea for science, facts and evidence a group of us spent a pleasurable day learning about Auchenorrhyncha the other day. An introduction in a classroom type setting, a field session at a nearby peat / fen land SSSI then back to the microscopes. Some forty species of Hemiptera were recorded including uncommon species and species local to the Humberhead Levels. As anticipated entomologists are often interested in more than one discipline so other taxon were recorded including odonata with an early Brachytron pratense being observed on Hawthorn blossom. In terms of a biodiversity site inventory, we are building one up steadily with a good amount of very useful data. The site is certainly a promising one and we hope to undertake a mothing session soon and given the different habitat types present there is clearly potential for interesting species to be discovered from the site. Dolycoris baccarum. 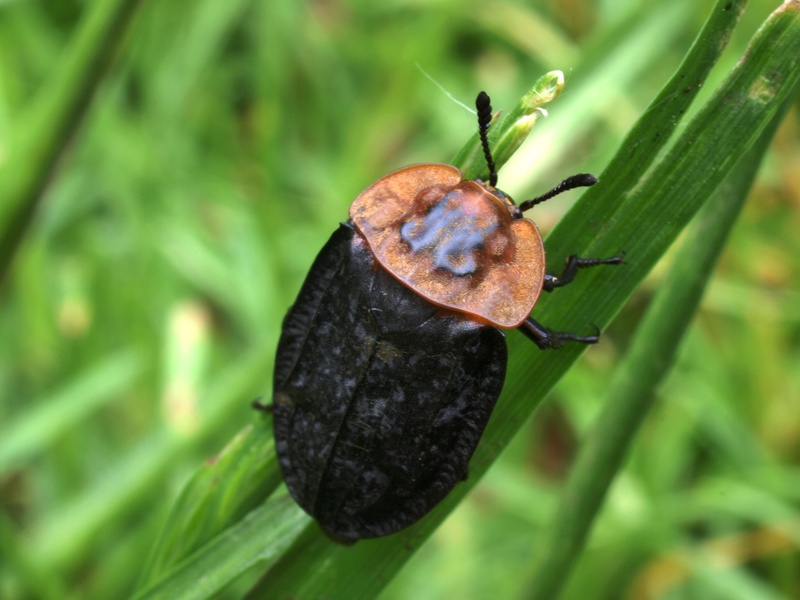 The excellent British Bugs website offers a vernacular of Hairy Shieldbug, whilst other sources offer that of the Sloe Bug. Zircrona caerulea aka ‘Blue Shieldbug’, the metallic hue on this specimen appears to favour green? The work ongoing on this wetland site of considerable nature conservation interest is such that it has received funding for implementation of a Water Level Management Plan. Further to, this raises the issue of survey and monitoring pre and post implementation? Failure in either aspect raises the issue of evidencing value and impact of works? All too often in our opinion is the dash to spend the cash on engineering projects without first understanding or appreciating the assemblages present and their importance in national, regional or a local context. Other survey work is ongoing on the periphery of Thorne Moors SSSI, again this work relates to fen habitat and species. The danger or risk of using a vernacular or common name for a species is illustrated above by the Cocksfoot Moth nectaring on cardamine! To give it its scientific name of Glyphipterix simpliciella (Stephens) ensures that anyone in any country in the world is able to understand what species is being discussed. Another species slightly off piece is Rhacognathus punctatus, or the Heather Shieldbug. This specimen was swept from an area of fen, some distance from any calluna so the moral of the story is perhaps twofold? 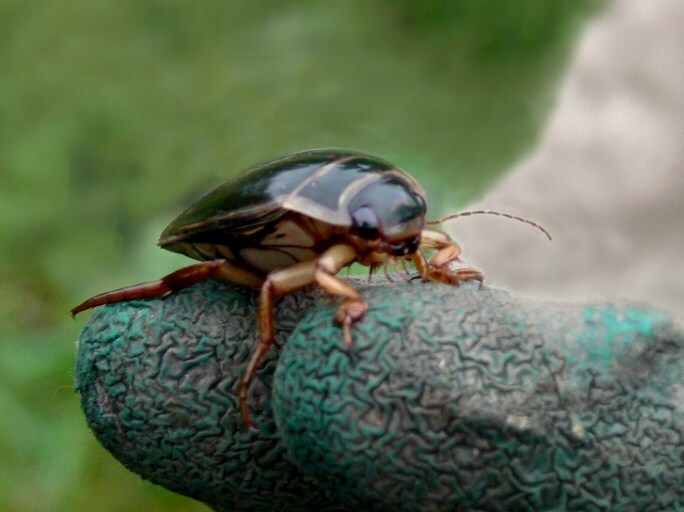 Common names can risk confusion and invertebrates don’t read books …. Images: Dolycoris baccarum, Zircona caerula and Glyphipterix simpliciella courtesy of Martin Warne, Rhacognathus punctatus H R Kirk. Thanks also to Jim Flanagan and Stuart Foster for their excellent tuition and involvement with the workshop and field work which thus far has seen forty species logged, impressive for an afternoon ‘bug hunt’? Posted in Executive Secretary | Comments Off on Lest we forget the evidence? Addiction is, according to an online dictionary definition, a medical condition that is characterized by compulsive engagement in rewarding stimuli, despite adverse consequences. It can be thought of as a disease or biological process leading to such behaviours. So are those of us who expend countless hours searching out and observing the enigmatic Vipera berus thus afflicted? Adderholics? Locally, that is to say the Humberhead Levels supports a reasonable population of the reptile. But with increased pressure from Open Access and engineered management works currently being undertaken on Thorne & Hatfield Moors the population is potentially at risk. The Adder, the UK’s only venomous snake is a reptile favouring open predominantly dry habitats. Heathland and commons, moorland, sea cliffs and chalk downland, open woodland and woodland rides, road and rail embankments are also used. 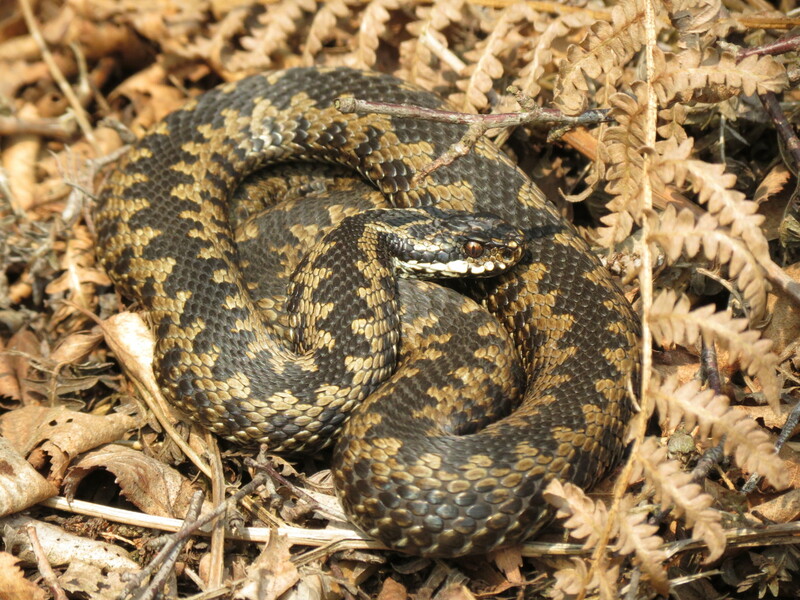 The images above of a male adder show two key aspects, namely the dark rostal and its head pattern – a unique feature to all individual adders. Images: H R Kirk. 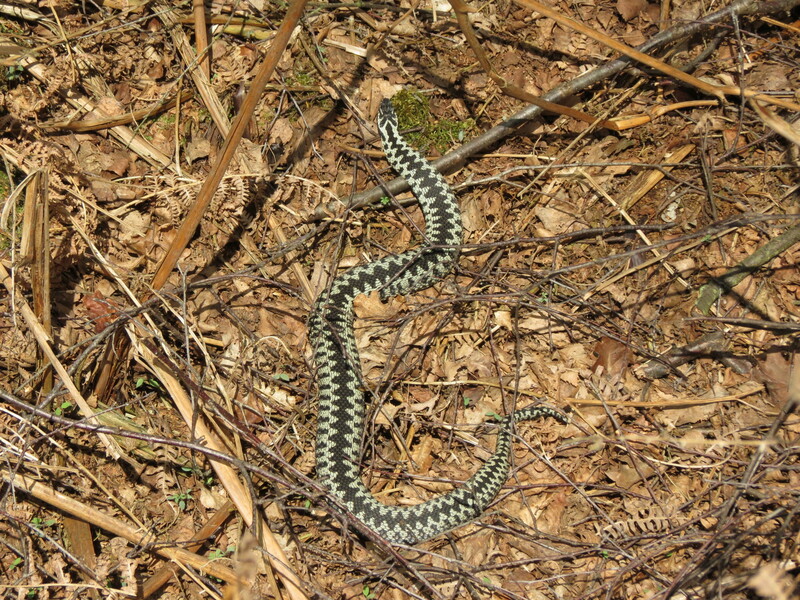 The image above shows the general colour difference between the male and female adder. Note also the paler brown as opposed to dark rostal indicative of a male adder. Image courtesy of Martin Warne. 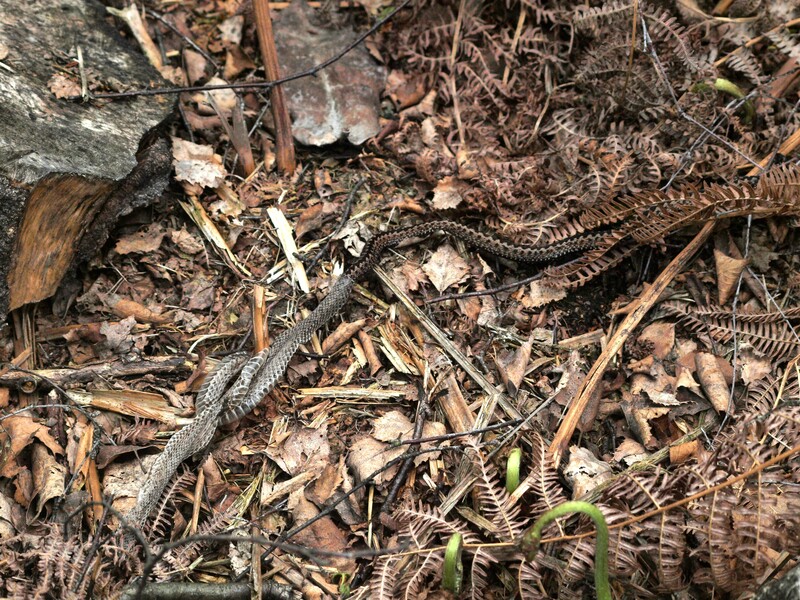 The two images above show (left) a female adder approaching sloughing, indicated by the opaqueness of its eye and (right) a sloughed skin discarded amongst vegetation. Images: Martin Warne (adder) & H R Kirk (sloughed skin). Examination of local historical data (pre 2000) and moderately recent data appears to indicate a decline in adder numbers. As Thorne Moors particularly becomes wetter through the implementation of a Water Level Management Plan currently being delivered by Doncaster East IDB and Hatfield Moors is the focus for increased public access, what are the ‘new’ or ‘modern’ implications for this sensitive species? What monitoring is being undertaken by either of the Public Bodies currently undertaking significant management works? The photographs above were taken using a zoom lens. The adders were not disturbed. The interests of the adders, a protected species must come first. Posted in Executive Secretary | Comments Off on Add(er)ictions? Do Hen Harriers deserve a future in the uplands? Readers of this blog (others are available) will recall that there has been much discussion over the plight of raptors, particularly the Hen Harrier. There is just something absolutely magical at the end of a day spent on Thorne Moors when a ‘silver ghost’ drifts in to view, glorious …. But that stunning bird which we see here in winter is under serious threat, despite legal protection on its upland breeding moors. Where land management practices on some large estates continues to see decline or absence. Anyone who has listened to a talk by Chris Packham, Mark Avery or Iolo Williams amongst others will be familiar with the issues surrounding the ‘debate’? Anyone who has read Inglorious: Conflict in the uplands has a wealth of research available to them to consider the evidence as presented for a change. It will therefore come as no surprise to learn that Avery has just launched his third epetition on the issue, titled unsurprisingly Ban driven grouse shooting. Readers are encouraged to consider signing it, they are encouraged to read the various blog posts which offer evidence and insight into the issue, read Inglorious, read the EMBER Report and then offer justification against a change in upland management practice? If one sets aside the legal status, i.e. the bird is protected in law full stop, is one permitted to enquire, should landowners receive public funds without delivering public benefit? With rights go responsibilities? We hear constantly that such estates are beneficial for wildlife, yet these same estates appear devoid of raptors so where is the balanced ecosystem? If you’ve not heard Avery speak on the subject then remember that we provided advance notification of a two day conference in Sheffield Raptors, Uplands and Peatlands : 9 & 10 September 2016. See also UKEconet and download the booking forms. Posted in Executive Secretary | Comments Off on Do Hen Harriers deserve a future in the uplands? Join us for Bog birds, bugs & drainage matters? “Bog birds and bugs” is the title of a talk to be given by Lucy Ryan, a masters student at York University who is undertaking monitoring of the nightjar population on Thorne and Hatfield Moors. This three year study will look at the impact the management works undertaken by Natural England through their EU LIFE+ Project. A second talk “Who started the drainage? Iron Age & Roman Landscapes in the Humberhead Levels” is to be given by Dr Paul C Buckland, whose early work included investigation on the Bronze Age trackway on Thorne Moors. Following on from these talks there is to be a site visit, weather permitting onto Thorne Moors to look at some of the recent management works undertaken to implement a Water Level Management Plan on the site as well as delivering scrub clearance through the LIFE+ Project. 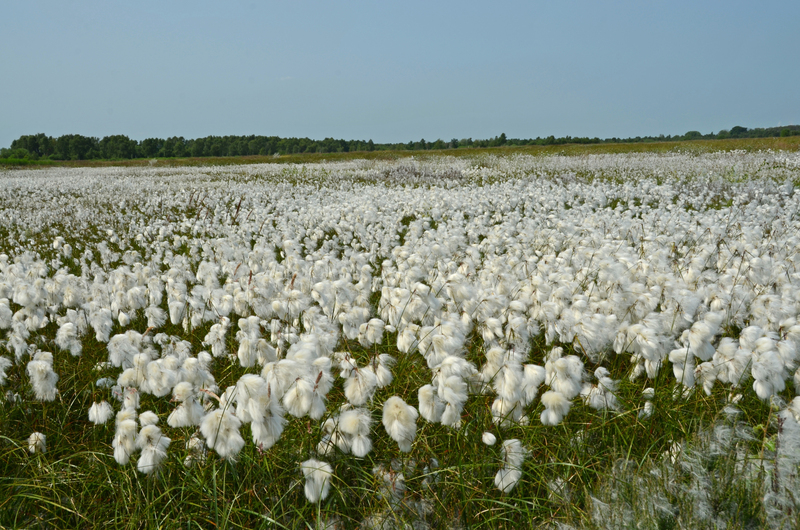 That’s Life – Restoring the Humberhead Peatlands. An interesting image to accompany a press release about peatlands? The visit and the talks are open to the public and are an opportunity for local people to learn about the works currently underway on their moors. Please contact the execsec@thmcf.org for more details. Given that it is 1 April, then there is every chance we will see and hear signs of spring. Observations so far indicate an early season, with Chiffchaff recorded on 23 February and up to 14 adders have been recorded on Thorne Moors on one day. 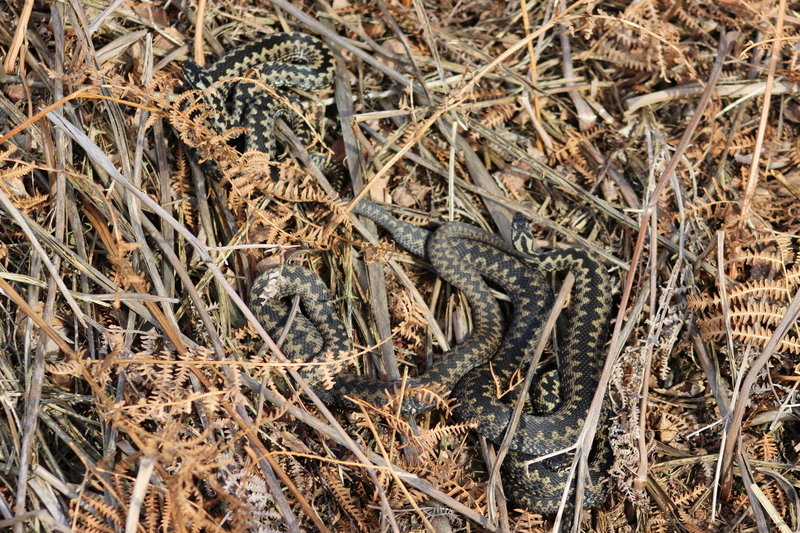 Two female adders soaking up the sun. Image: Martin Warne. *All Fool’s Day: 1st April. Posted in Executive Secretary | Comments Off on Join us for Bog birds, bugs & drainage matters? Adders on Thorne and Hatfield Moors on 10 February, now Common Lizard has been ‘turned over’ on Crowle Moors. Image: Phil Lee. Advance notification of some events for your diaries? Indoor presentations on recent research work followed by a visit to Thorne Moors in the afternoon. “Bog birds and bugs” by Lucy Ryan (York University) a masters student working on monitoring of the nightjar populations at Thorne and Hatfield Moors SSSI further to the implementation of the LIFE+ Project* managements works. Dr Paul Buckland “Who started the drainage? Iron Age & Roman Landscapes in the Humberhead Levels”. *Please note that the Forum is not aware of any monitoring work ongoing or planned which will look at the impact of the implementation of the Thorne Moors Water Level Management Plan by Doncaster East IDB and its management service providers JBA Consulting. 20 May 2016 An introduction to Auchenorrhyncha identification. 9 & 10 September 2016 Raptors, Uplands & Peatlands: Conservation, Land Management & Issues promises to be an excellent couple of days of presentations and a site visit. The booking form can also be downloaded here and includes ‘early bird’ booking discounts. Posted in Executive Secretary | Comments Off on Who started the drainage? Enjoy it while it lasts? The natural environment it would seem is under siege? Management of upland moors at the moment is very topical not least for the potential flooding implications if not undertaken appropriately and in the public interest? What is appropriate and who gets to define ‘public interest’? Government Ministers have written to the chancellor to persuade him not to let nature laws impact on development. One of those is the Minister for the Environment! Let’s set aside for this post at least, political hot potatoes and spend a day on our local moors whilst we are still able to enjoy what were once vast wildernesses. Now they are in the centre of what is rapidly becoming industrialised farmland, with approaching around 100 massive turbines visible from various points of the compass. They are publically owned, that’s by US, you and me? They are managed by Natural England, the government advisers on nature conservation. They also advise developers via their Discretionary Advice Service (revenue generation business). There are others involved in their management and there is a lot of activity on site now. February ‘fill dyke’? There has been a fair amount of precipitation but there have been bouts of fine weather in which to get out there and enjoy the ‘last days of wilderness’. It was the bright white ‘targets’ which attracted my attention. The buck’s antlers resplendent in heir velvet. A second very inquisitive buck located later in the day and in another area kept checking my progress along the track before nonchalantly trotting off again. At the risk of being accused of anthropomorphism, did he satisfy himself that I posed no threat to his territory? The rut for Roe deer starts in July but the does will not give birth until May and June after a nine month gestation of which four involve delayed implantation. Bucks will aggressively defend territories from the start of Spring in February/March until August. The Roe is one of our native deer, the other is Red, with records dating back before the Mesolithic (6,000 -10,000 years BC). There is certainly a wealth of wildlife out there at the moment for visitors prepared to look for it. Birds of prey are showing well with good numbers of Marsh Harriers and a smaller contingent of Hen Harriers. The magnificent male, that ‘silver ghost’ with its white rump and ink-dipped wing tips guaranteed to lift a winter’s day. Peregrines, Short-eared Owls, Merlins, Buzzards, Kestrels and Sparrowhawks as supporting cast reward effort. Wildfowl too with up to 10 male Goosanders being logged, the occasional Pintail and Goldeneye, rafts of others including Gadwall, Teal, Mallard, Tufted and Pochard. Plenty of passerines amongst the sheltered spots. The unexpected bonus yesterday was a Little Egret flying in and along the northern boundary! Just be careful where you walk and watch out for contractors vehicles whizzing along. Big skies and space, or a cluttered horizon? Get out there and experience the exhilarating, discover the nature of the place and its wildlife before its become a chapter in a historic review …. In the interim visit Hatfield Moors Birding Blog and Thorne Moors Birding Blog and check out what has been seen and what with effort you might hope to see. Posted in Executive Secretary | Comments Off on Enjoy it while it lasts? Large Heath: an iconic species of Thorne & Hatfield Moors. The Large Heath, Coenonympha tullia is a butterfly of wet heaths, bogs and moorland and one of the Humberhead Levels key species. This stunning image (courtesy of Martin Warne) was taken today and shows reduced spotting with a single forewing spot and with evidence of six hindwing spots but only three showing dark centres. These characteristics are suggestive that this may be a specimen at the extreme range of the South Yorkshire population, readers are invited to discuss …. likewise offerings of photographs to illustrate the current diversity on Thorne and Crowle Moors, and indeed Hatfield Moors if the introduced population still survives there would be gratefully received via execsec@thmcf.org (all images will be acknowledged as copyright photographer and only used with permission). 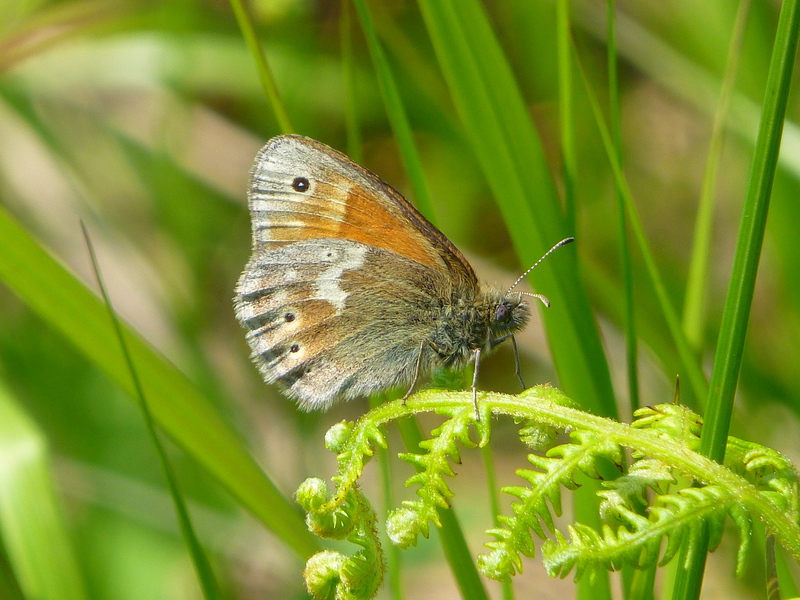 The first Large Heath of the year were recorded on Thorne Moors week commencing 8 June. Some 21 were recorded today so moderate numbers on the wing, when will they peak? Large Heath has responded well to the re-wetting of Thorne Moors, where a remnant population hung on amidst the ravages wrought by drainage to faciltate peat extraction in the 1970 through to the early ‘noughties’. 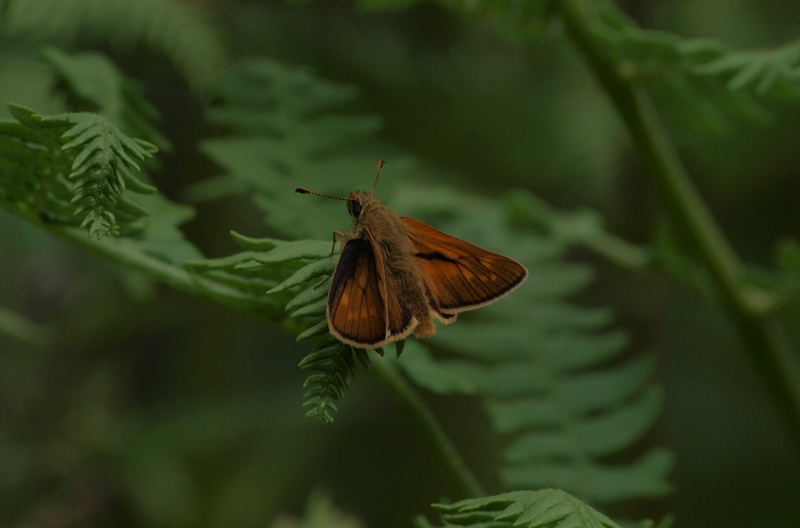 Readers are recommended to read the paper “An update on the status of Large Heath butterfly on Hatfield Moors” (Kirk & Melling 2011) in Volume 8 of the Thorne & Hatfield Moors Papers. The paper relates the fortunes of the species on neighbouring Hatfield Moors SSSI. Don’t forget to book your place for the series of interesting, informative and potentially controvertial presentations 31 July (Crowle Community Hall) “The Flood Untamed” Wetlands and flooding …. topical? Another diary date is Hen Harrier Day Sunday 9 August, #HaveYouSeenHenry? Posted in Executive Secretary | Comments Off on Large Heath: an iconic species of Thorne & Hatfield Moors. Readers may have heard of Pan Species Listing, it’s basically ‘twitching’ across disciplines. That’s an incredibly simplistic analogy because there is much to recommend it if it is undertaken within the guidelines promoted through the Pan Species Listing website. We try to encourage readers and the public in general to take a closer look at the wildlife around them and as well as appreciating the amazing diversity available on our own doorsteps to learn to identify it. Occasionally we offer Wildlife Training Workshops with specialist tutors to introduce people to new disciplines, especially entomology or the more difficult botanical disciplines (grasses, sedges & rushes), bryology, lichens or mycology. So it is pleasing to periodically report interesting finds. Phil Lee the voluntary LWT – Isle of Axholme Group Wildlife Records Officer has an uncanny knack of being in the right place at the right time …. Friday 8 May saw him ‘sauntering’ along the boundary lane of Crowle Moor north where he came across a couple of hoverflies new to him. 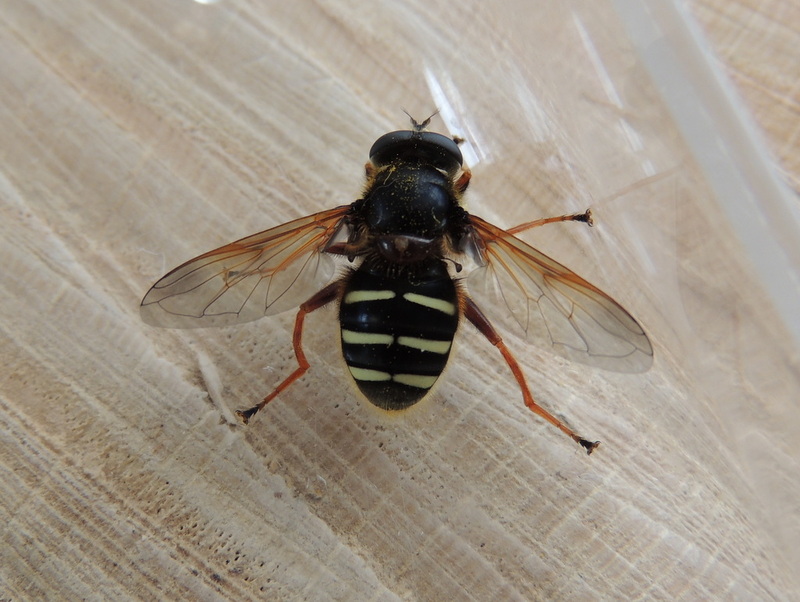 Reference to Britain’s Hoverflies An introduction to the hoverflies of Britain by Stuart Ball and Roger Morris led Phil to conclude that the species above was Sericomya lappona and this was subsequently confirmed by John Flynn through the lincs_ento_group. S.lappona has previously been recorded from Crowle Moors in 1988, by Bill Hoff and Roger Key but no other Lincolnshire records apparently. The other, below, is a Pipiza but can not not be determined to species level even with the excellent image taken by Phil. The moral of the story as ever, is to be open minded and take an interest in the common and then when something a little different appears it is likely to register as having potential for an interesting record. There is plenty of help out there avialable from like-minded people and a veritable plethora of societies and organisations focusing on wildlife and natural history. Those records are needed, they evidence species movement (increase or reduction in range) and the health of sites. It would seem reasonable to assume that the various statutory agencies and authorities undertake survey and monitoring but increasingly it seems to fall to the amateur naturalists to gather raw data. The theory then would be that the Public Bodies use the data as evidence in defence of sites under threat of development? Theories and reality, sadly all too often at the opposite ends of a spectrum? Another issue which warrants investigation is perhaps the future of Local Records Centres? That for Doncaster is based within DMBC, yet the vast majority of data held there has been provided by amateur naturalists. That for northern Lincolnshire and Lincolnshire in general is held and managed by the Greater Lincolnshire Nature Partnership, so arms -length from statute and retaining a level of independence? The issue as ever, information is power but information is also valuable creating something of a dilemma when it comes to sustainability? 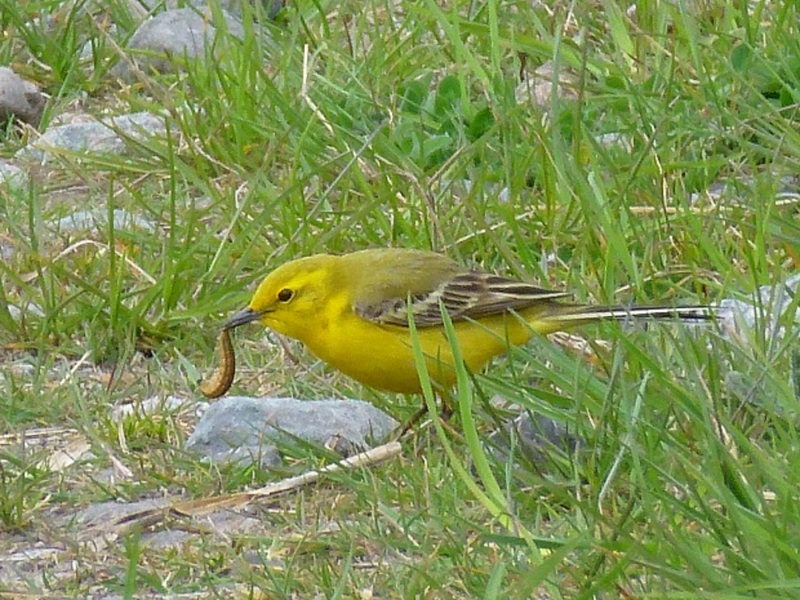 Also around in moderate numbers are Yellow Wagtails as they seek out food for their brood of youngsters. This stunning image showing a parent bird with a substantive meal – is it a noctuid larva? Thanks to Martin Warne for sharing this behavioural image. For readers seeking their annual fix of our iconic crepuscular gem the Nighjar, they arrived on the same day 13 May on both moors, although perhaps the one logged at 04:15am on Thorne Moors was the first recorded for the year? Jeremy Purseglove revisits the story of his classic book which is being re-issued in June. Anyone interested in attending this presentation (which will also feature two other talks) please contact execsec@thmcf.org for more details. 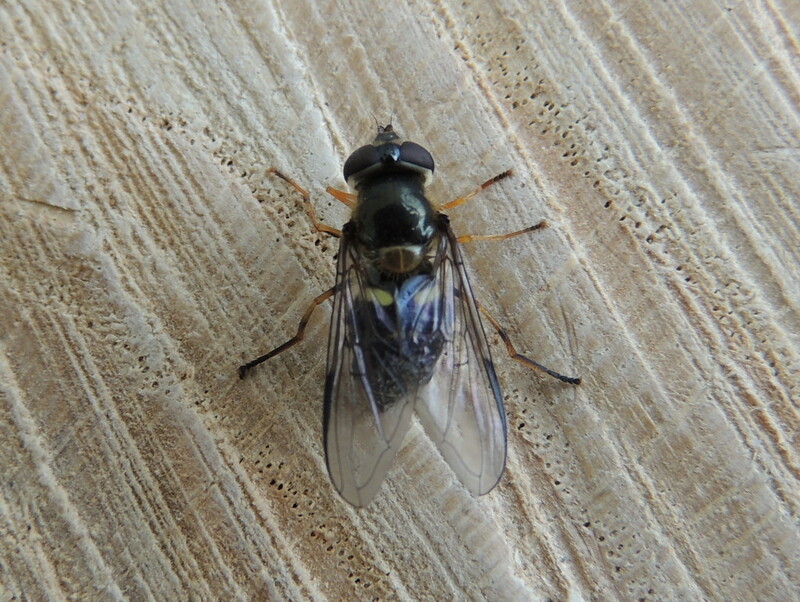 Posted in Executive Secretary | Comments Off on Hoverflies & floods …. Are our landscapes of any value and why were NNRs not included? The Landscapes for everyone initiative was launched on 19 January 2015 in Parliament. Some 27 organisational signatories called for the need to protect precious landscapes. Association of Garden Trusts; Association for the Protection of Rural Scotland; British Mountaineering Council; The Broads Society; Campaign for National Parks; Campaign to Protect Rural England; Campaign for the Protection of Rural Wales; The Centre for Sustainable Healthcare; The Conservation Volunteers; Dartmoor Preservation Association; English Outdoor Council; Friends of the Earth; Friends of the Lake District; Friends of the Peak District; Groundwork UK; John Muir Trust; Landscape Institute; National Trust; Outdoor Industries Association; Open Spaces Society; Ramblers; Scottish Campaign for National Parks; Snowdonia Society; South Downs Society; Wilderness Foundation; The Wildland Research Institute; Yorkshire Dales Society. Endorse and promote the National Character Area profiles as a tool for local authorities and policy makers to take a holistic approach to planning and landscape management in each area. Ensure our National Parks, AONBs, NSAs, Historic Landscapes, historic public parks and green spaces have sufficient resources to guarantee their long term protection and enhancement. These aspirations are excellent, but as with much of this kind of ‘call to action’ unless it has substance through legislation and compliance is monitored and enforced then we will continue to see the degradation of the quintessential English landscape as it becomes consigned to art galleries and the history books? That is not to say that the ‘Landscape coalition’ is not right and it is to be congratulated on raising the issue but to our minds there are many missing signatories …. the RSPB and The Wildlife Trusts to name a couple of million voices who we would like to think care about the landscape? A glaring omission, to our minds is the mention of the publically owned National Nature Reserves managed on the publics behalf, in the main by Natural England. Why has the Minister for the Environment not included this portfolio of public land in the catalogue of places which are deemed to be of landscape importance? Many readers will have stood on the viewing platform on Thorne Moors and appreciated the panorama, sadly if they have known the area over recent decades they will have noticed the ring of steel increasing as the landscape is becoming more industrialised? The Lower Derwent Valley (LDV) and Saltfleetby Theddlethorpe too are other local gems, why are they not deemed to be important in landscape terms? One might wonder why Natural England are not keen to see public places protected? The public forests are still under threat and it was not so long since that the ConDem coalition with it’s ‘greenest ever’ promise was seeking to divest the public portfolio of NNRs. How long before either of these issues are revisited? Are the above images of wild open spaces, evocative landscapes not worthy of protection? Are they not worthy of inclusion in the recent initiative ‘Landscapes for everyone’? Wake up Natural England before we lose ‘moor’ …. Posted in Executive Secretary | Comments Off on Are our landscapes of any value and why were NNRs not included? 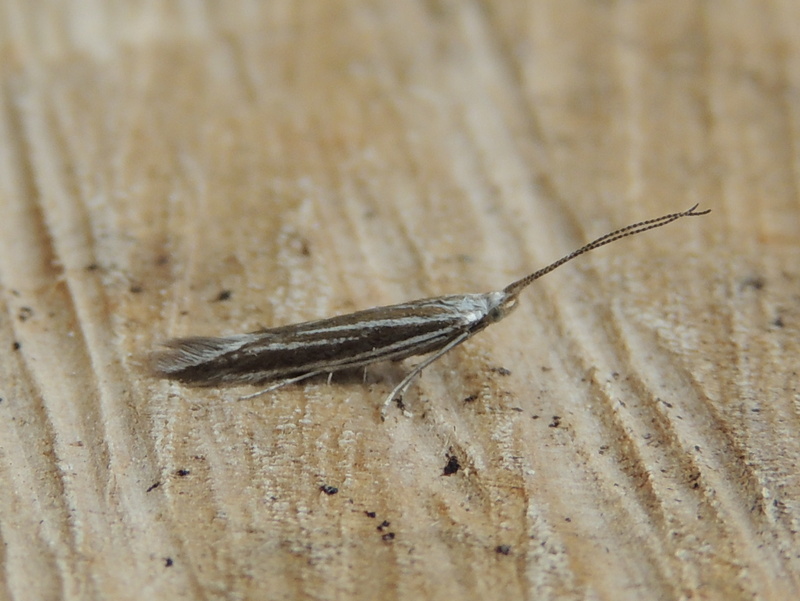 Although there are still a few micro moths to be determined, the ‘moth-athon’ on Friday 25 July fell just a little short of the target 200 species. But, when you factor in the weather with the clear skies, the drop in temperature from around 25 deg in the day to 11 deg in the evening then I think it was a very respectable endeavour particularly for an inland site? Some eight stations with some 14 lights straddling from east to west across Thorne Moors delivered a total of 186 species to some 19 recorders! Certainly, any pilots overhead, flying towards Finningley would have wondered at the lighting array very obvious below them? As reported in previous blog posts some five micro species were new to Thorne Moors along with three other macros and have now delivered a respectable boost to the number of species logged on the Natura 2000 site. 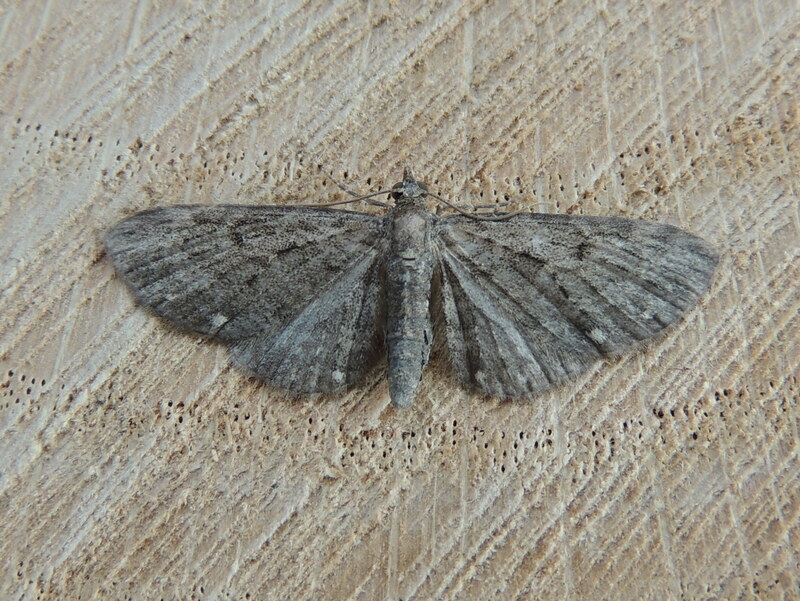 Narrow-winged Pug (below) is a distinctive species of heathland and moorland and the larvae feed on the flowers of calluna. 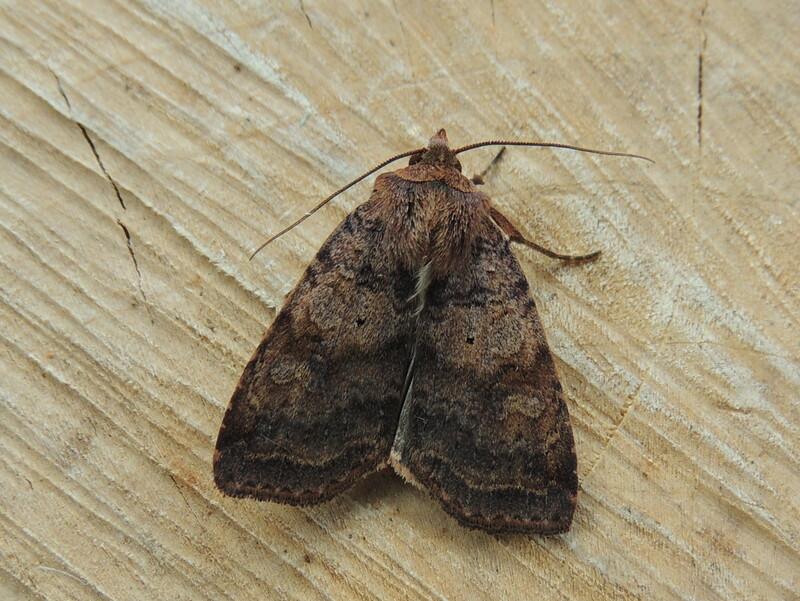 Generally on the wing in April to June, five specimens caught across the moor suggest a second generation. 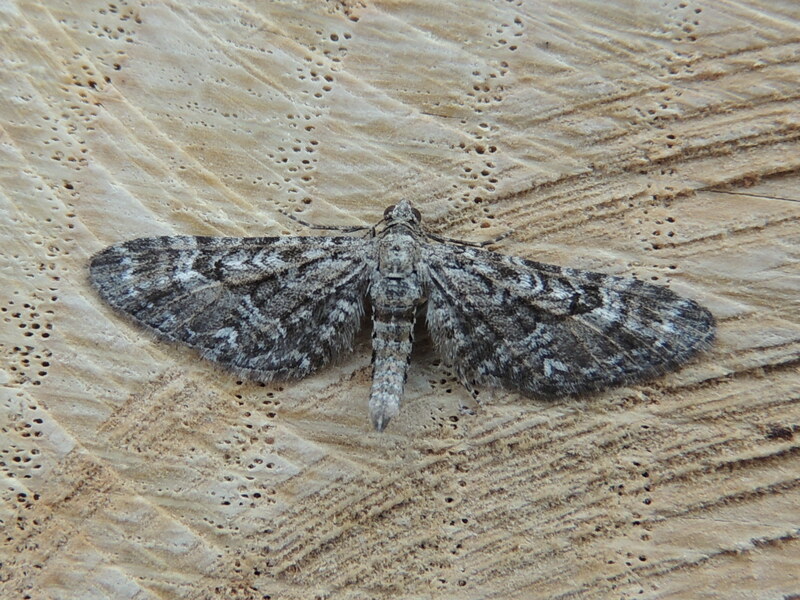 White-spotted Pug (below), just a singleton from Crowle Moors is a good record as the only record for Thorne Moors is that of a Porritt record for Medge Hall in 1900 (Porritt 1904). 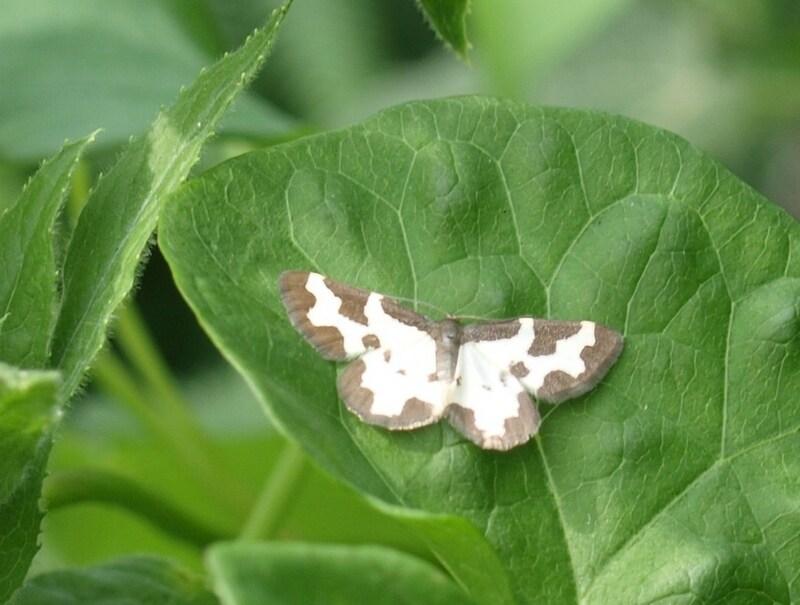 White-spotted is a species of damp areas and woodland, its second generation larvae feed on flowers and seeds of wild angelica and hogweed, the spring generation on the flowers of elder. Another noteworthy Pug recorded was Golden-Rod, another uncommon species with a male and female taken on the western periphery. Round-winged Muslin (below) is a species feeding on lichens (especially dog lichen) and various mosses. Small numbers were caught at four of the stations. Thanks to the nineteen brave souls who ventured forth that evening to rise to the challenge of 200 in a single evening, well done! Harry Beaumont, Matthew Blissett, Phil Cadman, Dave Chesmore, Louise Eaton, Steve Hiner, John Hartley, James Hinchliffe, John Hitchcock, Catherine Jones, Helen Kirk, Phil Lee, Alf McGowan, Ron Moat, Margaret Prior, Ted Sabin, Martin Warne, Darren Whitaker and Trisha Williams. Here’s to next year and better weather …. in the interim there’s still a good chunk of the season left so keep those records coming in. Thanks to Phil Lee for sharing his images. From Moth-athons to ‘Frack-athons’ & the Peak District Hen Harrier Day …. The Thorne Moors ‘Moth-athon’ species list referred to in last nights blog post is slowly creeping nearer the target of 200, currently it stands at 177 species with two ‘stations’ still to have their data incorporated. 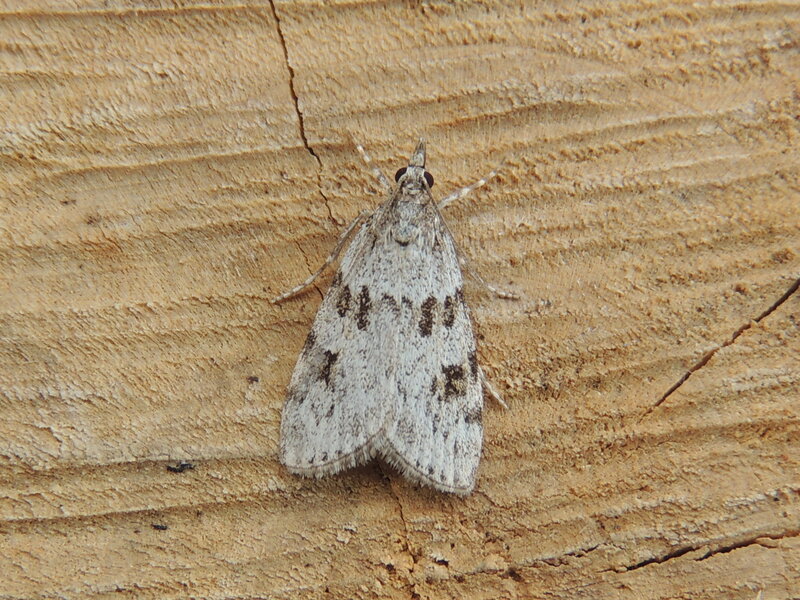 Clouded Border, one of the 177 species recorded so far on the ‘moth-athon’. Image: Steve Hiner. Another piece of good news is that Mark Avery’s epetition Ban driven grouse shooting is nearing his interim target of 10,000 as the ‘inglorious 12th’ approaches. It currently stands at 9,451 – can readers help him get it to that 10,000 target by the Hen Harrier Day scheduled for 10 August in the Peak District? Chris Packham is attending the Peak District event, let’s hope for plenty of coverage in the press. We hope the media do a decent job of reporting the rationale behind the event instead of playing politics with serious conservation issues which have been neglected for far too long. If the industry can’t sort it’s own act out then it’s time that the people had a say and the politicians listened? We will not repeat the various ‘arguments’ that Mark Avery and Chris Packham have used to justify the call for a ban, the series are better read via Standing up for nature, they make interesting reading as do some of the comments anonymous correspondents have submitted. I understand that there is to be a ‘Thunderclap’ and the target, which is already exceeded, is to be a million signatures, but you can still join in see here for more about ‘Thunderclaps’. So, if you’ve not altready signed the epetition Ban driven grouse shooting then please consider doing so here. Send an email to your address book network and draw the issue to their attention if you’ve not already done so, the more who join in the stormy issue and ‘Thunderclap’ …. As if no breeding Hen Harriers in England isn’t depressing enough we have another threat facing our natural resources, and no surprise it’s those owned by you and I i.e. the public! HYDRAULIC FRACKING: A contentious business? Today, David Cameron opened up huge new areas of the country to fracking. More than half of Britain is now up for grabs in the prime minister’s latest frack-a-thon, including areas in 10 national parks. But already, almost 250,000 people have signed our petition calling for David Cameron to keep the UK frack free. Can you help us hit 300,000 and show prime minister the strength of opposition he and his government are up against? Readers can access and sign the petition here. Despite the government claims that national parks will only be targeted for drilling in “exceptional circumstances”, today’s announcement is littered with loopholes – meaning the tranquillity of the Peak District, the Lake District and Brecon Beacons could still be shattered as fracking companies move in to drill. Not only has the fracking industry still to prove it can operate safely, the oil and gas produced by fracking would increase our carbon emissions at a time when we need to be massively reducing them. But there’s still time to stop the industry before it begins. Last week, Cameron’s fracking juggernaut was forced off the road in West Sussex when the county council unanimously turned down an application to drill in the ancient village of Wisborough Green, just outside the South Downs National Park. The brakes might have been put on fracking in Wisborough Green for the time being, but the prime minister’s obsession with fracking has blinded him to the scale of opposition up and down the country. Remind him what he’s up against – sign the petition now to urge David Cameron to ditch fracking. The email appeal uses emotive terminology and we would seek to understand both sides of the argument, so naturally we would expect that case to be accurate evidence based science. The Guardian calls for the protection of National Parks but also our houses. They also reported that Fracking push gets the go ahead, but there appears an expectation that we will trust politicians to safeguard National Parks, sounds like the time that the public let *politicians sort out their expenses scandal or when they bailed out the banks at the public expense or sold off public assets at less than market value? However, ever an agnostic …. In a tightening of the guidance, the government will ask energy firms to submit an environmental statement that is “particularly comprehensive and detailed” if they want to frack on or near protected countryside, forcing them to demonstrate their understanding of local sensitivities. It will make clear that the applications “should be refused in these areas other than in exceptional circumstances and in the public interest”. In addition, Eric Pickles, the communities secretary, is likely to make a final decision on more appeals related to protected areas over the next 12 months, instead of leaving it to the planning watchdog. [Read the full Guardian article here.] Another excellent piece was that written by John Vidal when he called for Frack free zones to protect water and wildlife, see here. Government will ‘ask’, …. firms will produce an environmental statement to demonstrate – that’s really reassuring isn’t it? We all appreciate that we need an energy mix, that we need to conserve energy (perhaps someone should remind Government of ‘conservation’) but I suppose that doesn’t make the energy companies money does it if we reduce our consumption? We need safe and reliable energy, we need energy companies to be accountable …. (see above*). A useful start in terms of understanding the issue of Hydraulic fracturing can be found here. If you are minded to consider signing the Greenpeace petition then it can be found here. Posted in Executive Secretary | Comments Off on From Moth-athons to ‘Frack-athons’ & the Peak District Hen Harrier Day …. Well, let’s hope that it’s been a busy time I guess for the MEPs who had conservation minded constituents contact them after they’d been suitably motivated by Chris Packham’s video diaries posted via his website. He also asks that we Tweet our MPs and ask them to attend the debate in Parliament this Wednesday 7 May …. The House of Commons will debate “UK policy on protection of migratory birds in Malta” on Wednesday 7 May in Westminster Hall, 4.30 – 5.00pm. OK, so we don’t all Tweet – in which case then email them or phone their constuituency offices. If they ask what this has to do with us then think of that Nightjar being released, will it make it back to the UK and possibly Thorne or Hatfield Moors? Mark Avery too has joined Packham and is also encouraging his readers to take up the issue, he also (quite rightly in my opinion) reminds readers on a regular basis about the fact that Hen Harriers, Red Kites and other birds of prey are being shot and poisoned in this country still. 2013 was the first year since 1960 that Hen Harrier had failed to rear a chick in this country! Astonishing given the amount of funds spent on HLS on privately owned upland grouse moors? I wrote to the six Yorkshire and Humber MEPs via ‘write to them’ website on 25 April. So far I have received email replies from Rebecca Taylor, Timothy Kirkhope and Edward McMillan-Scott and a letter from Linda McAvan. Nothing, as yet, from Andrew Brons or Godfrey Bloom. All are fairly similar but I suppose to some extent that is inevitable and they seem to mirror those received by other MEPs across the country as reported by readers on Mark Avery’s website. What I do find somewhat disappointing is that when they were replied to, with specific questions, typical of many a politician, the reply evaded the actual point I raised or directly asked! 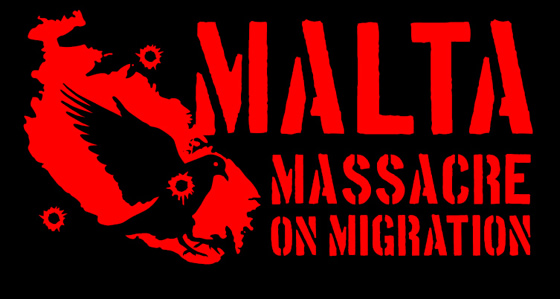 If you are interested in reading the series so far received then we have set up a new page on the website blog “CAMPAIGN: Malta Massacre on Migration” and they can be found there. Any new correspondence received relating to the Malta saga will also be placed there. If you’ve been motivated to contact MEPs then feed back the responses to Packham, Avery or through us at athe Forum. Critical mass as elections loom for MEPs in May and a for those 650 still in the Westminster village. Let’s send them all a message that the natural environment and conservation really do matter. In the interim, please TWEET (!) your MPs if you are able to …. 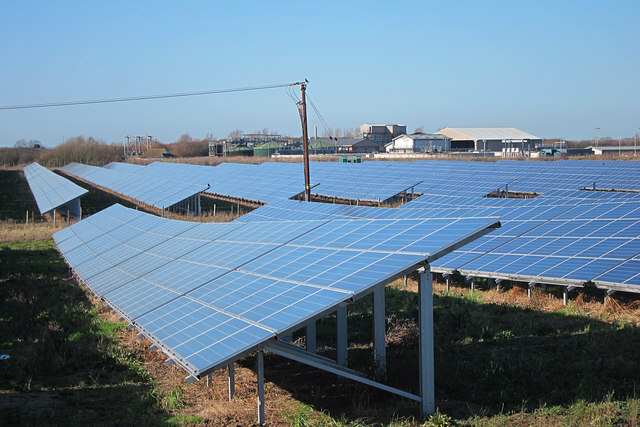 Readers may recall that we posted details of an information event about the proposed Solar Farm development at Thorne Colliery. The public event was well attended which seemed to surprise the developers whose staff struggled valiantly to answer the questions posed by local residents. 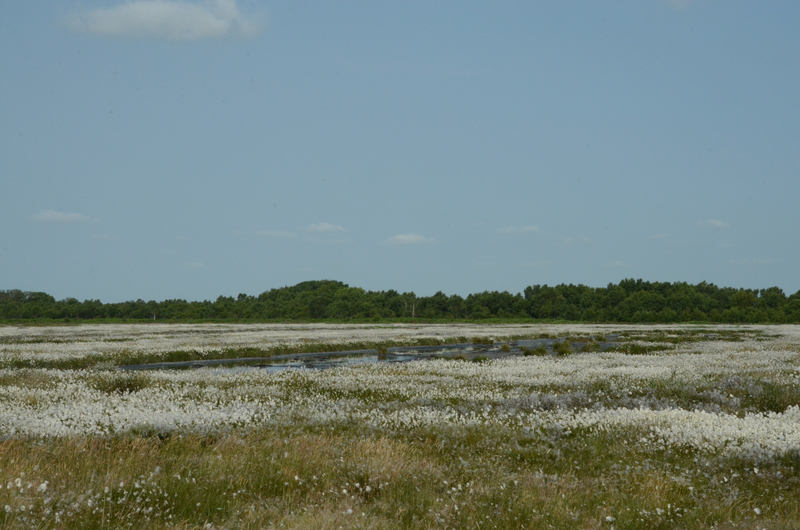 There was the usual generic detail but little substance in terms of assessment of impact upon the nationally important invertebrate assemblage at Thorne Moors SSSI, particularly the nationally significant lagg fen at Inkle Moor. We understand that Natural England have provided RES [BSG Ecology and LDA Design] with data, but the exchanges we have seen relate to planning advice obtained through the Discretionary Advice Service (a service which the develope pays for). It is understood that the outcome of BSG surveys further to Natural England’s recommendations will feature as part of the full application to be formally submitted to Doncaster MBC in the next few weeks (per Eliot Davies, Solar PV Development Project Manager, UK & Ireland Development). Documents available at the moment can be accessed below by clicking on the links, the first is the letter from the developers to Doncaster MBC, the second is a series of maps and photomontages providing graphic (as opposed to textual) information about the proposed development. You’ve heard us say that there’s always new discoveries to be made by people with time, determination and a keen eye. 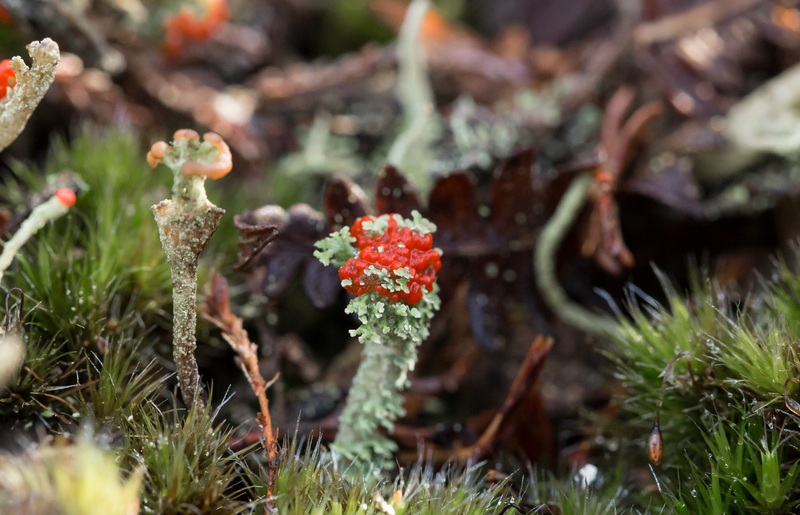 I’ve just received some stunning images from Barry Warrington a keen amateur naturalist from Hull, along with details of his recent find Cladonia bellidiflora which we understand has been confirmed by Dr Alan Silverside. This record consitutes (unless anyone else out there knows otherwise) a new species for Thorne Moors SSSI. 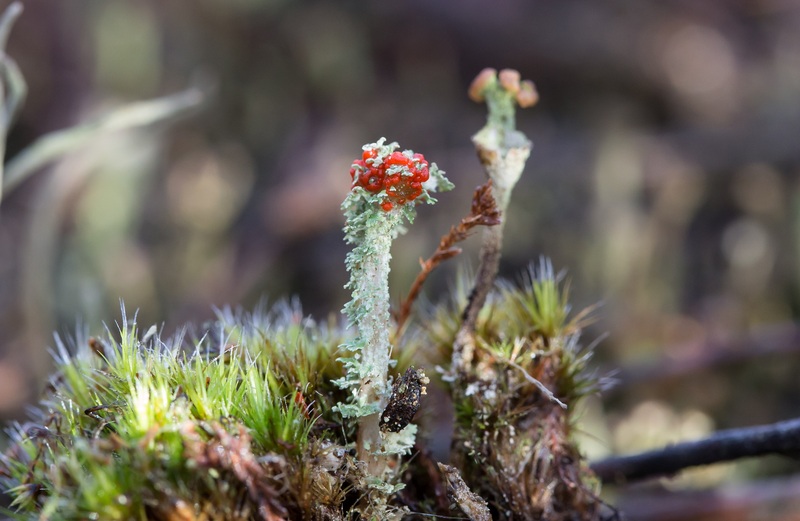 Close up images of Cladonia bellidiflora. Image copyright Barry Warrington 2014. 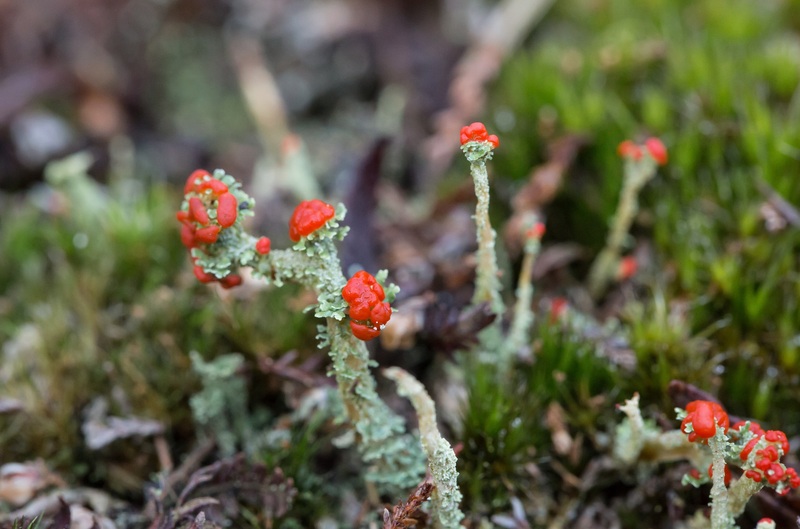 Cladonia bellidiflora can be distinguished from C. squamosa (which also has peeling squamoles on the podetia) by the red apothecis, yellow tinge and the KC+ reaction. See a useful explanation of the use of chemical tests on the British Lichen Society website. Dobson (2000) comments that it is frequent on soil and peat especially in stabilised scree. 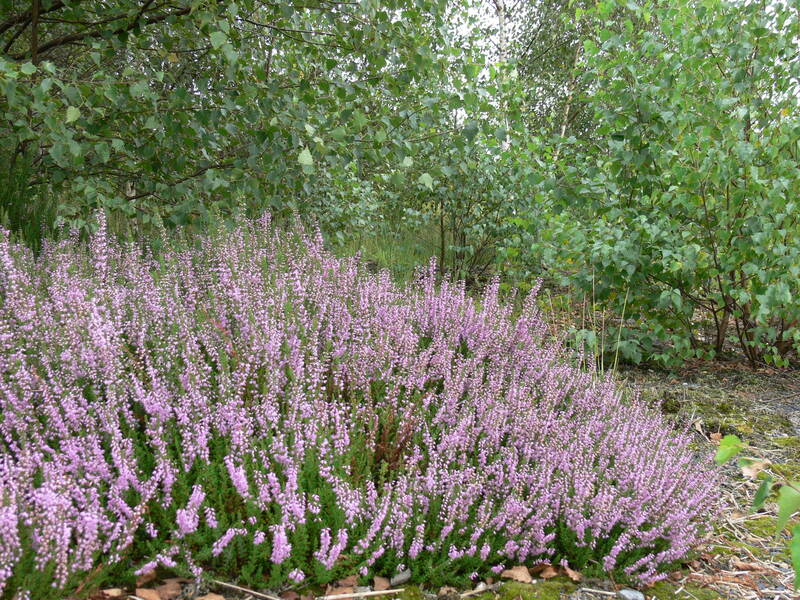 Mainly found in upland areas of Scotland and northern England. There are no Yorkshire records on his distribution map for the species, neither are there any on NBN Gateway for the species in the county. 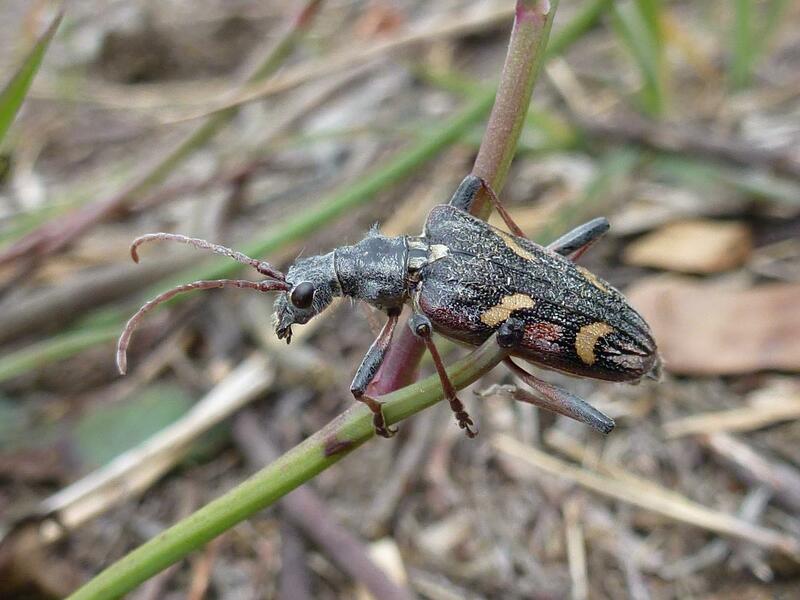 Has this species been there all the time and been missed by visiting naturalists or is it a consequence of management practices which haven’t considered or addressed the issue of biosecurity? Please, keep the records coming as any data adds to our understanding of the changes occuring on the Moors. It can also help when considering management operations. For Moor ‘Ramblings ’round Thorne’ see the Thorne Times (a local newspaper) website where each months piece is uploaded the month following actual publication. The signs are ‘Add'(er)ing up to Spring’s arrival? It’s beginning to feel that winter flew with that magical ‘Skydancer’ on 15 February, I do so hope that he finds a mate and is successful in his endeavours to breed. Last year, 2013 saw only two pairs of Hen Harriers attempt to breed in England but sadly both failed, and we reckon to be a nation who loves and values its wildlife? So, spring is here? It must be, the adders are out of hibernation and being seen in moderate numbers. The first males were seen on Hatfield Moors on 18 February and on Thorne Moors the following day where up to 15 males have been recorded basking. The image above, taken by Steve Hiner on 25 February this year shows four basking together. 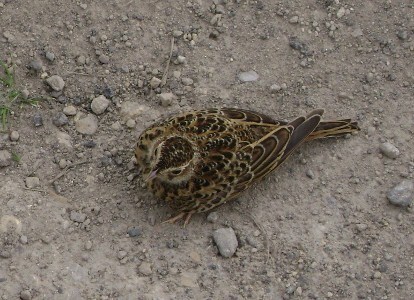 Female (above), in breeding condition (2013). Adders (Vipera berus) are the UKs only venomous species of snake and they are also viviperous (give birth to live young). Treated with respect and caution they are not dangerous. Typically, in the breeding season the males have black markings against an off-white background with a steel grey underside. The females have dark brown markings against a light brown or straw coloured background with a dull underside . Having said that, both sexes are very variable and melanistic specimens are known from Thorne and Hatfield Moors. Male in breeding ‘colours’ (2013). The image shows the flattening of the body which creates a greater surface area to receive the warmth of the sun. One magical piece of behaviour to witness is the ‘Dance of the Adders’, this ritualised combat is designed to impress and attract a female. A young adder sloughing its skin as it continues to grow (2013). Please do pass all reptile and amphibian sightings with details to us, the data all helps us to understand the habitat preference and utilisation patterns through the season across both sites. For more information on local groups who actively promote the study and conservation of these special creatures, see ARG UK. Posted in Executive Secretary | Comments Off on The signs are ‘Add'(er)ing up to Spring’s arrival? Does the current planning system deliver for the public benefit? We enjoyed a lovely day on Thorne Moors yesterday. The weather was kind, the wildlife relatively obliging. A majestic Marsh Harrier dodged the turbine blades whilst delightful Reed Buntings fed on seeds heads floating on bog pools. The downside when you are out in the open is that no matter what direction you look out across you see massive metal structures. For me they destroy that sense of wilderness. It is said by some that they are beautiful and each to their own, but they are not a natural feature and for me that is why people visit the moors. They seek to be at peace with and experience the enjoyment nature offers. 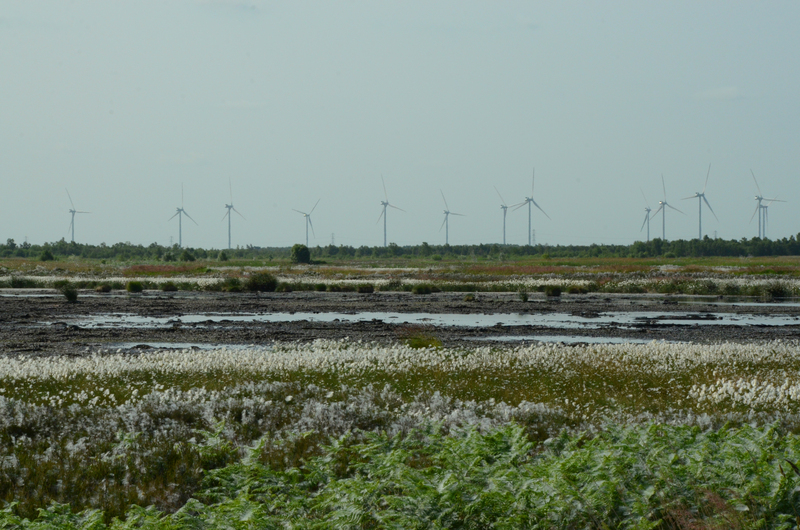 Majestic Marsh Harriers float effortlessly, but for how much longer as more and more wind turbines become a feature of the farmed landscape on the Humberhead Levels. We hear constantly about food security, land needed to allieviate floods (to act as flood plains) but here we are industrialising the countryside and depositing hundreds of thousands of tons of CO2 emitting cement into land already saturated with recent precipitation. As well as loss of soak away, there is potential risk to the hydrological integrity of the nearby peat body, 1900 hectares or 4695 acres in ‘old money’ of stored carbon. As the bog continues to regenerate it builds capacity to sequester more carbon, but foundations so close in hot dry summers risks potential lateral damage? The Forum is not oppossed to renewable energy, it recognises the need for a mix if we are to have energy sustainability. It believes that we should harness nature’s bounty but to do so there must be a balance and a level playing field and the politics of renewables does not appear to be good for climate change with some types favoured more than others? In the interim, read a recent Guardian article relating to Drax. This clearly illustrates the issues facing energy generation and the impact that politics and their preferences can cause. Whilst the blades turn subsidies for the agricultural industry, nearby Drax on spinning reserve is guilty of inefficient production to accommodate renewable provision? In around 2006-7 we were aware that there were 367 turbines at various stages of application planned for the Humberhead Levels. The metaphoric storm arrived when Tween Bridge was signed off along with Keadby at a Public Inquiry held in Goole! Airmyn, Goole Fields I and Goole Fields II soon followed. You only have to look at the October 2009 map produced by Natural England which illustrates wind farms and biomass schemes to see the scale of industrialisation. Fill in the gaps created in the intervening five years and there’s no wonder you get a feeling of monsters marching across the moors and marshes of the Humberhead Levels. 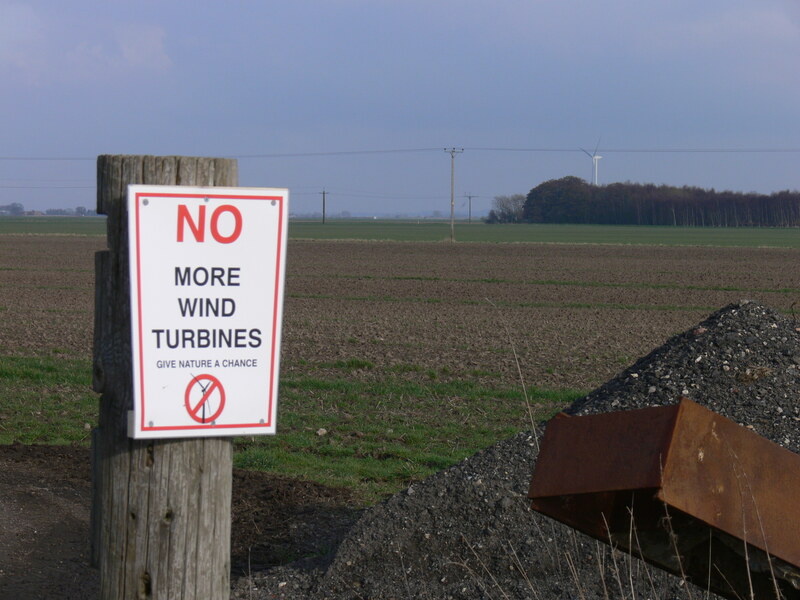 Local feeling appears to believe that enough is enough, in the background a turbine on the northern periphery of Thorne Moors SSSI. Recent schemes being worked up include seven turbines for the Old River Don at Crowle. There are another five being applied for near Rawcliffe Bridge (north western periphery of Thorne Moors) details can accessed via ERYC 13 / 04183 / STPLFE The East Riding of Yorkshire Council’s planning portal can be accessed and details of the application read, along with the supporting documentation and comments received and submitted by neighbours, councillors etc. Please note that the closing date for comments (supporting or objections) must be made by 5 March 2014. Erection of five wind turbines with a maximum blade tip height of up to 131 metres together with a substation and control building, upgraded access track, connecting internal tracks, associated hardstanding and infrastructure. Land East Of Bank House, Bridge Lane, Rawcliffe Bridge, East Riding Of Yorkshire. The towers proposed at this site will be the largest yet constructed around Thorne Moors SSSI. To date Natural England have failed to make any comment on the proposal. But, have they been consulted? By law they are a statutory consultee. What is clear is that the planning system remains something of a piece meal system and because the Humberhead Levels is a natural area and administered by Doncaster Metropolitan Borough Council, East Riding of Yorkshire Council and North Lincolnshire Council and it also has near neighbours in Nottinghamshire County Council and Selby District Council. What a mire of planning complexities to wrestle with, if like the Forum you take an interest in the countryside, the landscape and environmental conservation? Then factor in what is within the remit of the Local Planning Authority (LPA) or what developments fall to centralised Government Departments to approve. Then there’s a system which allows developers whose applications are refused to appeal. In the current financial climate is there any wonder that Local Councils approve commercial developments for fear of Public Inquiry costs? Conversely, if the development is approved the public have NO right of appeal, there is no local community challenge unless the LPA process is flawed and ONLY then can the local community challenge the decision through a Judicial Review (JR). If they are deemed in the High Court to have grounds, then they need very deep pockets to fund any challenge. They need nerves of steel and tenacity and there are very few groups who have successfully challenged developers set upon commercial paths. If a JR is successful, then it does not refuse the application it only returns the application to the start of the application process. But …. take heart anyone considering wrestling the planning system, a consortium have recently challenged Derby CC over a development and they have been granted a Judicial Review. If we go back sometime then there were some pretty historic and important landmark challenges which we would do well to remember when the long day seems never ending, the Flamborough Hedgerow case was one such case when principle won the day. Colin Seymour was the locus standi in this case and subsequently he went on to become something of a local hero if you believe in the rights of local people to challenge authority when it is in error based on historic legal evidence and extant law. See also the Protection of Field Boundaries. Another very important High Court judgement involved a quarrying development at Preston under Scar (North Yorkshire). Richard Buxton was the lawyer representing the locus standi applicants in 1999 and he is involved in the above detailed Derby CC case, so watch this space for updates! Without strategic planning and the application of sound common sense, then how much longer before a 360 degree ring of steel strangles Thorne Moors SSSI and the wilderness many of us grew up with will be no ‘moor’? As a colleague remarked …. we knew the moors at their best, before anthromorphic greed and ‘muzzled watchdogs’ abandoned them. Are politics about people or are they primarily about profit for particular people? Can a phoenix rise from the ashes, will a community challenge? Posted in Executive Secretary | Comments Off on Does the current planning system deliver for the public benefit? Consistency in application of protection to SSSIs? Staff are to be congratulated with their investigation and enforcement of regulations. Perhaps it was a pretty obvious matter to investigate and gather evidence for and that there would have been public support for the action taken, never the less they saw it through and didn’t abandon the case like they did with other privately owned upland moorland incidents. They deserve praise for doing their job, so we duly recognise that …. to re-iterate, well done NE staff in the Peak District. 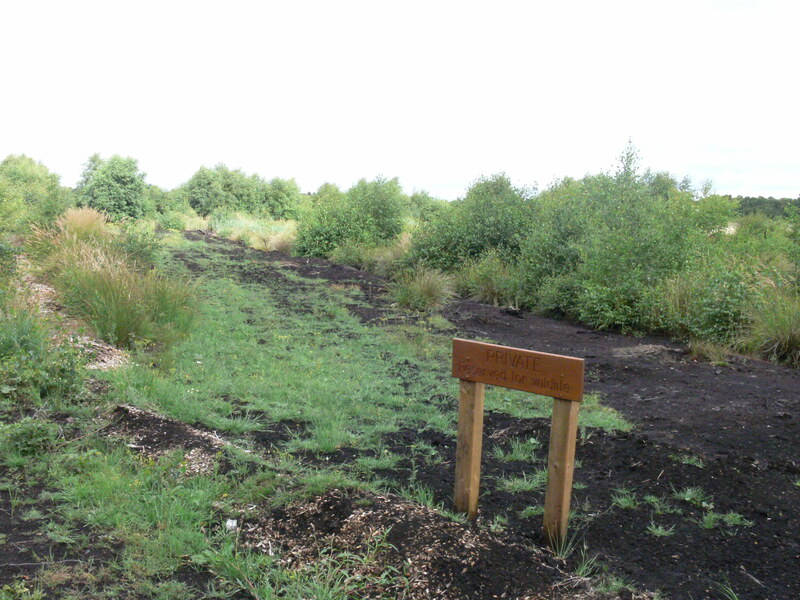 So, why when Natural England staff discovered damage to Thorne Moors SSSI in July 2012 did they too not act? Why did it take until November 2012 for their staff to replace the earth bank deliberately removed by the lawful tenant of a neighbouring landowner (and Internal Drainage Board member) to discharge agricultural run off high in nitrates etc.? Despite discussions and correspondence with the statutory agencies and support from MPs and Buglife was nothing further done? Why did the Rural Payments Agency not investigate? Why did they not try to recover public funds? For more detail see Mark Avery’s guest blog about the incident here. Desspite a duty to monitor condition status of SSSIs, no monitoring has been commissioned consequential of the damage to that part of Thorne Moors SSSI. What is the difference then between these two incidents given the facts of the matter(s) which centred on deliberate damage? 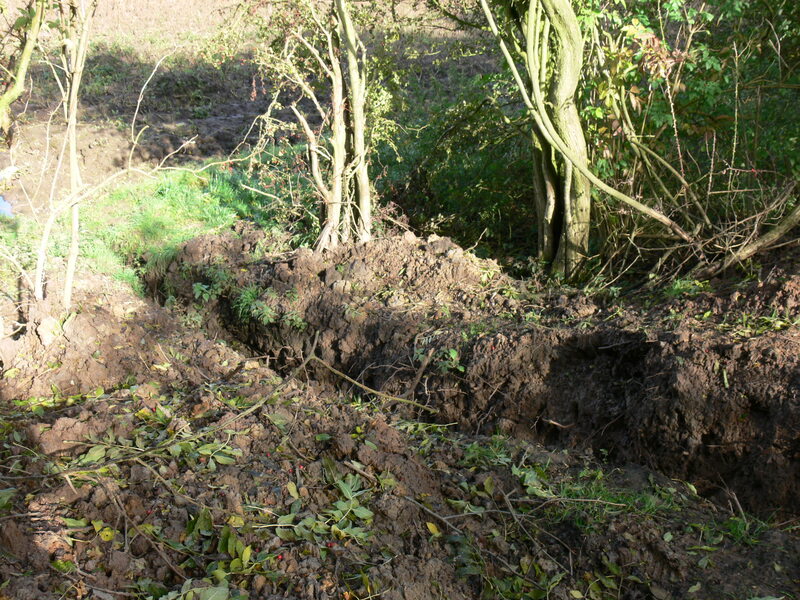 The image above shows the drainage channel dug out of the embankment which protected the SSSI, thousands of gallons of agricultural run off entered the SSSI as no action was taken by the statutory agencies to prevent damage to the interest features and the rare aquatic invertebrates. The existence of public funded agencies ‘fit for purpose’ with systems which demonstrate compliance with the Wildlife & Countryside Act and the Habitats Regulations. The ability of Defra agencies to act in a timely manner, to investigate incidents and to be able to ensure monitoring establishes impact and to recover public funds where damage and impact is proven. The accountability of agri-industrialist landowners who sit on publicly funded IDBs. A system which ensures that public money is not paid to landowners who damage SSSIs/Natura 2000 sites. Posted in Executive Secretary | Comments Off on Consistency in application of protection to SSSIs? Natural environment pressured from all points of the compass? Sadly wildlife is continuously reported as being in decline. This blog has posted items on the State of Nature, Nature 2013 et. al. See also here. All these reports chart serious declines in species and habitats and over many years. How many SSSIs are in favourable consition, how many NNRs are the very best examples of their kind [habitat]? Until issues like these have been seriously addressed and resolved then it would seem wholly reasonable that aspirations should not be unfairly raised nor projects initiated without appropriate account being taken of consequences, costs and accountability? The Natural England website provide a glossy interpretation of FCS of SSSIs and this Spotlight on SSSIs Working towatds the biodiversity goals of 2020 Issue 1 October 2012 (10 pages, two of which are covers), then there’s Issue 2 June 2013 (11 pages, including introduction and cover) and the most recent Issue 13 December 2013 (12 pages, including introduction and cover), should all be accessible via the single link from earlier referred to title. These reports provide ‘delightful’ colourful case studies painting a wonderful picture, but to ecologists and analysts they fall far short of the days of the statistical presentation and appear to suggest that marketing budgets are larger than those available for clearly reported science (that naively assumes that there is science undertaken)? Strange then that Natural England (once considered to be ‘guardians of the natural environment’) seek to promote increased recreation through dedication of open access on all publically owned NNRs? There is a Public Footpath (and it is publically owned) which takes the pedestrian onto Thorne Moors, which yields an annual income of £55,000 for a period of 35 years for Natural England so there’s certrainly scope for earning money from public land which developers take an interest in and one might ask, why not? It would seem reasonable that such revenue should stay local and fund works or monitoring required to maintain the site and to ensure that there is no adverse impact consequential of new activities? Not at all, we were informed that it goes into a [Head office] ‘central pot’. Publically owned land, closed whilst utilised for private profit on the periphery of Thorne Moors SSSI. Damien Carrington reported recently in the Guardian difficulties faced by trying to ensure existing PRoWs were well maintained. Clearly there are some excellent observers out there and others who should perhaps have been more diligent in their research? Would Natural England not be better looking to assist Local Authorities ensure that all existing Public Rights of Way were in good condition before increasing costs to the already moth-eaten public purse by creating more? Here around the Humberhead Levels, across the Doncaster Borough, in tranquil hamlets like Fishlake and Sykehouse PRoWs are either woefully neglected or used as tracks for off-road users, or private commercial operations which then leave the green lanes unfit for ‘quiet pursuit’. 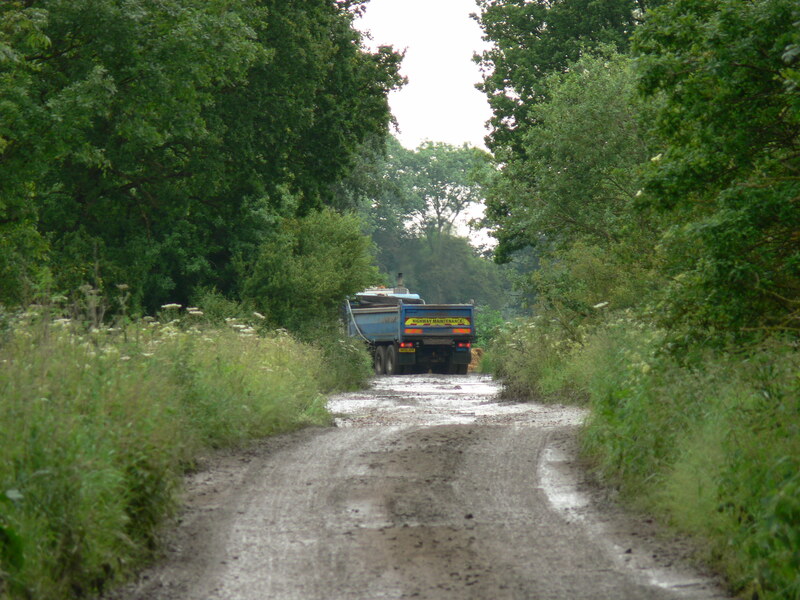 An example of one of Doncaster Borough’s green lanes being used for purposes other than those they were designated for. Promotion is all well and good, but open, transparent and adherence to legislative process is surely essential? Well intentioned aspirations are all well and good but what of unintentional consequences and accountability? An availability for redress if abuse or damage is evidenced? How long before the scrutiny is transferred to the uplands, where substantive public funds are provided to private landowners? To draw today’s post to a close on a positive note, as I started writing earlier I watched wistfully from the study window as around six hundred or so winter plovers wheeled around as they settled to feed in the short sward of autumn sown crops. Black headed gulls harried golden plover, the less numerous lapwings milled about on the edges of the feasting flock. I should perhaps have taken the telescope to make sure that there were no transatlantic cousins amongst the masses? Posted in Executive Secretary | Comments Off on Natural environment pressured from all points of the compass? I would say that I could not offer a better analysis of the folk poem that that offered by Professor James Boyle (Duke Law School), he describes it as being one of the pithiest condemnations of the English enclosure movement—the process of fencing off common land and turning it into private property. In a few lines, the poem manages to criticize double standards, expose the artificial and controversial nature of property rights, and take a slap at the legitimacy of state power. And it does it all with humor, without jargon, and in rhyming couplets. The image above of the late Wm Bunting is believed to be taken around 1971 and the photographer is unknown …. I’d be delighted if anyone recognises their handywork, please let me know then credits will be happily applied. * Thorne Moors was published in 1991 by The Sumach Press (ISBN 0-7126-5166-7 hbk / 0-7126-5167-5 pbk). Whilst there are only 70 pages of text, some 12 images by Fay Godwin, the little tome provides a fascinating insight into the early days of the campaign to save Thorne Moors. Copies are still available through second hand book dealers, inclusion of the one via the link offered above does not offer endorsement of that company. It is also available through others but I was not impressed by the description offered by the company …. Although not an area of outstanding beauty. That I offer is a subjective observation and one I’d hazard a guess was made without even a visit? Was it a fenman who said to Sir Harry Godwin something along the lines of “any fool can appreciate mountain scenery but it takes a man of discernment to appreciate the fens”. 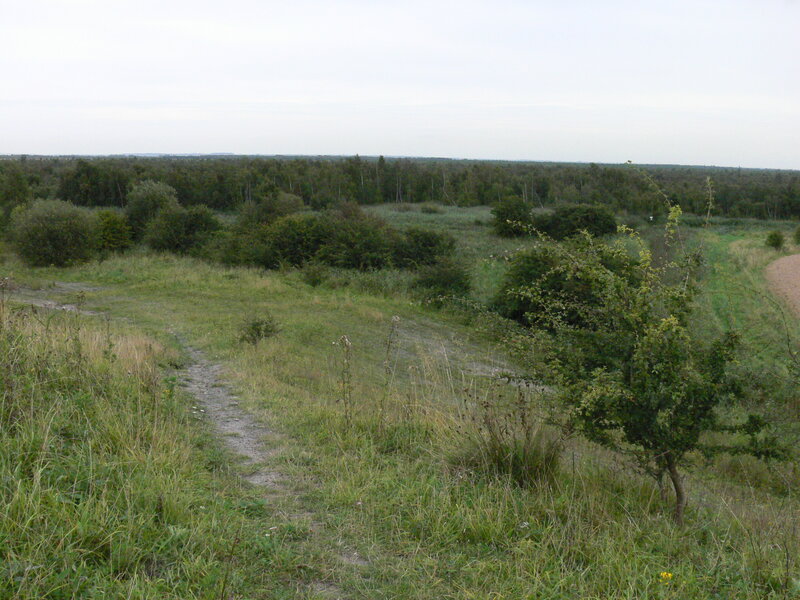 The information contained in the Wikipedia listing, whilst in the main accurate readers should note that the first image offered is of Hatfield not Thorne Moors. 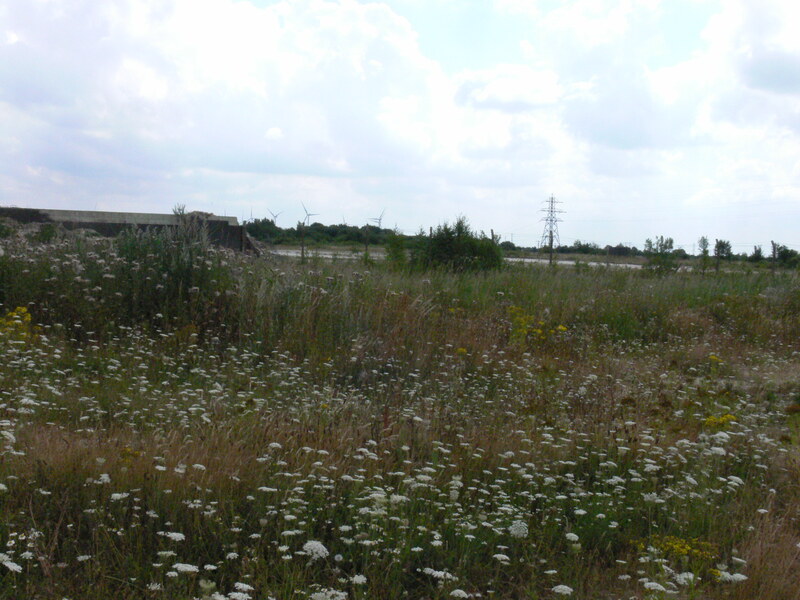 Brownfields, greenfields, NNRs & what of the future? A packed hall in the Whisby Nature Park Education Centre saw around 70 delegates listening intently to a range of speakers delivering Buglife’s second Brownfield Conference on Halloween (31 October). Presentations from the eight speakers included interesting case studies which illustrated a wide range of work, from industry to Buglife’s own Stepping Stones project. 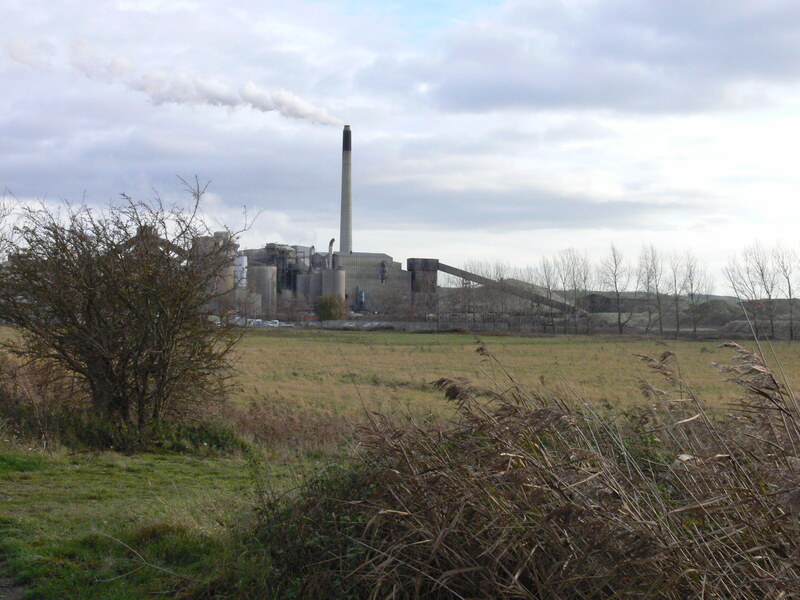 A typical industrial site, although this is the Cemex cement factory at South Ferriby in North Lincolnshire. For me it was the planning dimension and the interaction of Defra agencies, particularly Natural England which raises concerns. In terms of planning, brownfield has traditionally been the preferred option over greenfield for develpment. However, brownfield sites have been havens for many rare and threatened species hence a dilema for conservationists as well as planners and not forgetting government. Now that Natural England have a centralised ‘advice function’ (my words not their title per se), when a Local Planning Authority submits an application into the Defra agency, they have to make a response in a short timeframe, if they are short staffed with staff who are not aware of colleagues on the ground with local knowledge, so do not make contact with them to fully appreciate or understand the application and any nature conservation issues which might not be evident from a developers or consultants submission then there can be problems? Developer friendly environmental consultants and there are many, create tomes of reports which generally fail to do any more than scratch the surface of the biodiversity interest of a site beyond rejurgitating copious text from statutory guidance or local development frameworks, perhaps a desk top search for data from natural history societies or Local Records Centres (who in turn rely on local naturalists), very rarely any fieldwork in an appropriate season. Now that NE make available much of their planning and development advice on line and they also offer a Discretionary Advice Service so a money making consultancy by any other name, there appears to be very little consistent and meaningful communication or correspondence. West Thurrock Marshes is an interesting case. Despite the judgement going against Buglife it did accept that the NERC Act was an important consideration in such cases. It also highlighted failings in the Biodiversity Duty, the court system, planning policy and SSSI system. The presentation provided a synoptic overview of the work which can be found in “The state of brownfields in the Thames Gateway” in more detail, certainly worth a read. We heard from industry representatives who had worked with conservation organisations and Defra agencies to create easily managed sites which provided suitable habitats for rare and threatened species. There is clearly much useful work being undertaken, but is it sustainable and who will ensure its longevity in perpetuity? Not surprisingly most of these sites generally exclude the public unlike NNRs many of which are failing to meet their favourable condition status monitoring targets. So, there is a conundrum, local authorities are not always managing their country parks as the public might like by allowing bikes, horses and unleashed dogs so that could now be an option for NNRs instead? Will these new industrial reserves become the future for habitats and species conservation? A view of Thorne Moors SSSI, a Natura 2000 site and a National Nature Reserve from Thorne colliery pit tip. Natural England’s Senior Technical Adviser outlined the creation of an inventory of open mosaic habitats on previously developed land and whilst this is not the presentation itself it is broadly speaking very similar. Anyone looking to prepare a case for conservation of a brownfield site is certainly recommended to read the OHM Survey Handbook Similarly it is useful to understand the statutory agency definition of Open Mosaic Habitats from the UK BAP Priority Habitat Descriptions, although the BAP system is now defunct, it is still understood by many so remains useful until fully updated post ‘evolution’. There were copies of Planning for Brownfield Biodiversity A Best Practice Guide in delegate packs, and as with many of their publications and reports a useful tool to any local campaigners trying to put together a submission about a local planning application. Please note that the planning section is out of date, and Buglife report that an updated version will be available shortly. Thorne Colliery site, post demolition and illustrative of how quick nature heals scared landscapes. See also an earlier blog post this year when a number of interesting species were discovered across the complex. 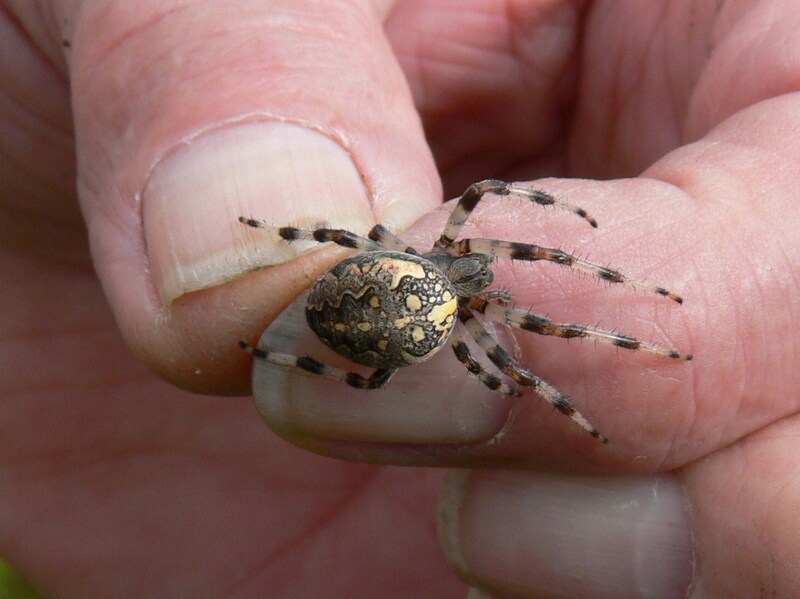 Araneus marmoreus pyramidatus, the Humberhead Levels is a stronghold for both colour variants of this species. The colliery site hosts a population of the species. Calluna vulgaris doing quite well on areas within the colliery complex. The networking between the presentations, as often the case with such events was the useful bonus of attending a well run and informative conference, an enjoyable day. Another refreshing aspect was that as an organisation their staff certainly did seem to ‘buzz’ and they invited delegates to contact them for advice and that’s not a common commodity these days. Membership organisations are all too ready to take your money and hand out glossy PR but I can count on my fingers the number of organisations who actually do get down to grassroots and try to help empower or assist local casework. So, well done and thank you to the Buglife team! Posted in Executive Secretary | Comments Off on Brownfields, greenfields, NNRs & what of the future? Readers of this blog will know that the habitats on Thorne & Hatfield Moors are pretty special and that they have on ocassions delivered some pretty amazing finds. Well here we are again …. Streptanus okaensis, a tiny leafhopper a first for the UK! That’s another first for the UK from Thorne! I remember another back in 1975 when Bembidion humerale was discovered, it’s subsequently been named the Thorne Moors beetle. This latest discovery all came about when Thorne & Hatfield Moors Conservation Forum undertook an invertebrate survey in 2012 on a piece of remnant lagg fen on the periphery of Thorne Moors SSSI. For 30 weeks we regularly trekked the site retrieving material from a series of traps, resetting them and then when I returned home sorting the material for dispatch to specialists. The highlight of the survey is a tiny leafhopper new to the UK, Streptanus okaensis. ok it’s another one of those tiny jobs, it needs to be viewed with a hand lens and through a miscroscope it is exquisite! Other hemiptera highlights included a first for Yorkshire Streptanus aemulans in addition to two other Nationally Notable B species. To date, from this survey of a relatively small area, some 321 different species of beetles have been identified and which include a good number of Red Data (Nationally rare) species, particularly amongst the water beetle assemblage. Seventy four species of spiders, 41 species of bugs, 70 species of hymenoptera (ants, wasps, bees and their relatives), 25 species of millipedes, centipedes and harvestmen, 16 species of snail including a Red Data Book species in good numbers! One evening’s moth-ing session yielded a list of 162 species! Clearly an exceptional site and there is still work ongoing looking at and determining the myriad number of flies we found! Key findings from this project were presented at a Seminar in September and in due course the survey will be published by the Forum. So, Thorne Moors are still special despite the corporate carnage of yesteryear and they are still capable of delivering some amazing finds. If you are new to the blog or you’ve not experienced the magic of these wild landscapes then get out there before it’s too late. Who knows what you might find? Throw aside your cares for a day, get out there and reconnect with nature. That casual walk of exploration will become a regular requirement, your senses will awake to new delights and fresh finds. ‘Moor’ ramblings & rants but not forgetting natural observations …. Readers may recall a recent post pondering the fate of Hatfield Moor’s Neolithic trackway. I have tried and will continue to try to establish an update from statutory agencies perspective in terms of its condition status, but yes …. please continue to watch this space. In the interim …. It was a tad cool to start with on Monday morning as I arrived at Crowle Moors but the autumnal sun appeared and tempted out the last few speckled wood and small tortoisehell butterflies to enjoy the warmth and bramble fruit juices. A party of house martins of around eight birds were also observed hawking over the ‘nettle crop’ meadow as were a similar number of swallows, all fuelling up before their long migratory flight. Later on, another small flock flew westwards over Swinefleet Warping Drain towards Thorne Moors and the NE depot as I made my way around the reserve, their constant chittering a reminder of the passing season. However, by far the best ‘tick’ for the visit were the four superb red deer stags (there might have been a fifth animal but the vegetation obscured an accurate count) feeding, irritatingly the camera was still in my rucksack and as I was up wind of them I simply froze to enjoy the view which I knew would disappear as soon as they picked up my scent. I had excellent views of three of the substantive beasts, two of them had good number of points or tines, sadly I have not published the number because of the ‘sporting’ interest in such animals. The presence of red deer on the Thorne Moors complex is a very contentious issue not least because of financial implications, sporting opportunities and landowner interest. I can’t remember the last time I was lucky enough to see a Royal and as for a Imperial or a Monarch …. 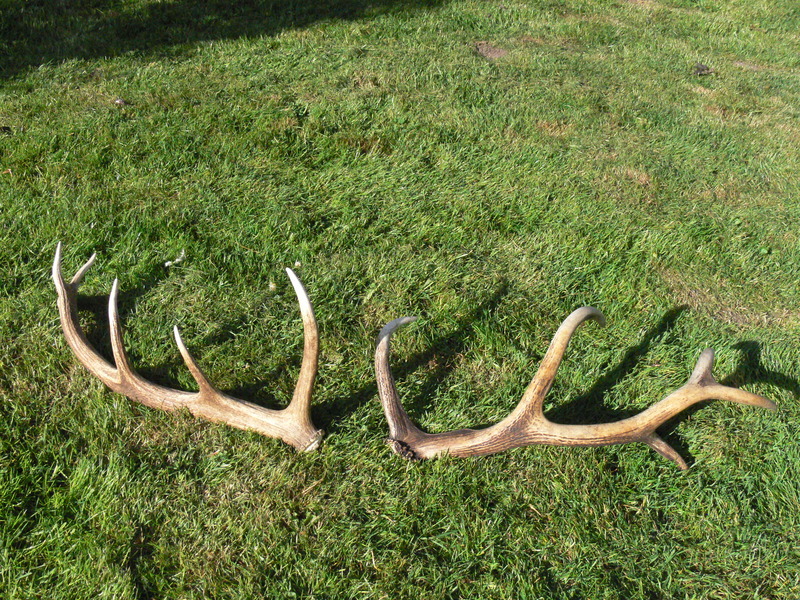 The image below illustrates antlers from two different animals, one from a Scottish moor the other from Thorne Moors. Can you tell which from where? Other recent observations include the recent occurence at light of a Brindled Green Dryobotodes eremita at Haxey Turbary recently. 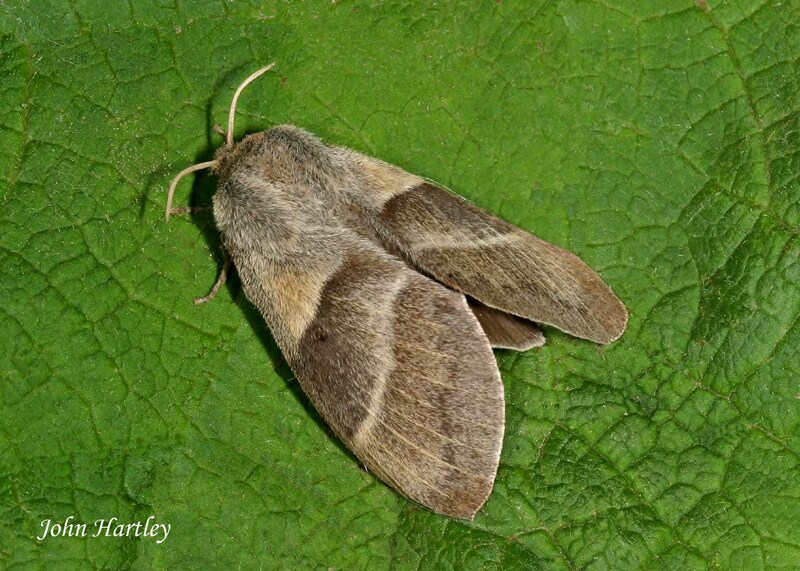 The State of Britains Larger Moths categorises the species as broadly being one of woodlands and they report it as having increased by nearly 300% up to that date. 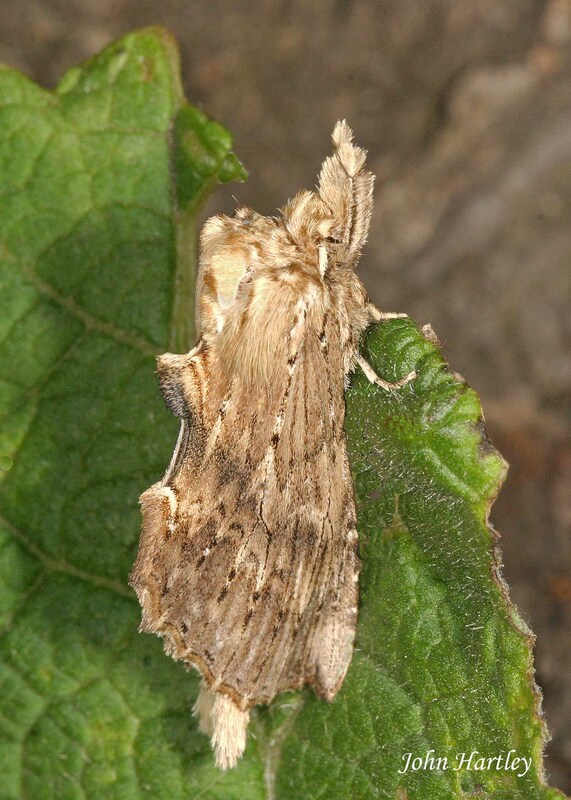 UK Moths website describe it as reasonably common. An oak feeder the species is not a commonly recorded one on the Humberhead Peatlands unless of course you know differently? In which case, drop us an email so we can update our records. National Nature Reserves still need our protection, if you’ve not already signed our 38 degree petition here, please think about it. If you’ve concerns about our stance that are not answered on the petition page then please do contact us. Images by Phil Lee & Helen Kirk. Posted in Executive Secretary | Comments Off on ‘Moor’ ramblings & rants but not forgetting natural observations …. Firstly, a massive thanks you to all blog followers who have signed the 38 degrees campaign petition STOP & RETHINK National Nature Reserves as Open Access areas, if you’ve not already done so then please do consider signing it. If you’ve already signed, then please pass on the details to your friends, colleagues and network. They tell me that social media is the way to get these things really good exposure, so if you twitter – please do so in the interests of nature conservation and help ensure that the product (NNR) remains worthy of its label for future generations. Thanks also to ‘moffin’ colleagues for sending the superb images of recent finds across for the post. It looks like there have been some good sessions recently with Haworth’s Minor also logged across on Thorne Moors, as well Angle-striped Sallow and Birch Mocha, so the peatlands are still home to quality species. Barred Chestnut Diarsia dahlii (Hb.) is a species of moorland and wooded heathland on acid soils, so not unexpected but a very welcome addition to the Crowle Moors list. 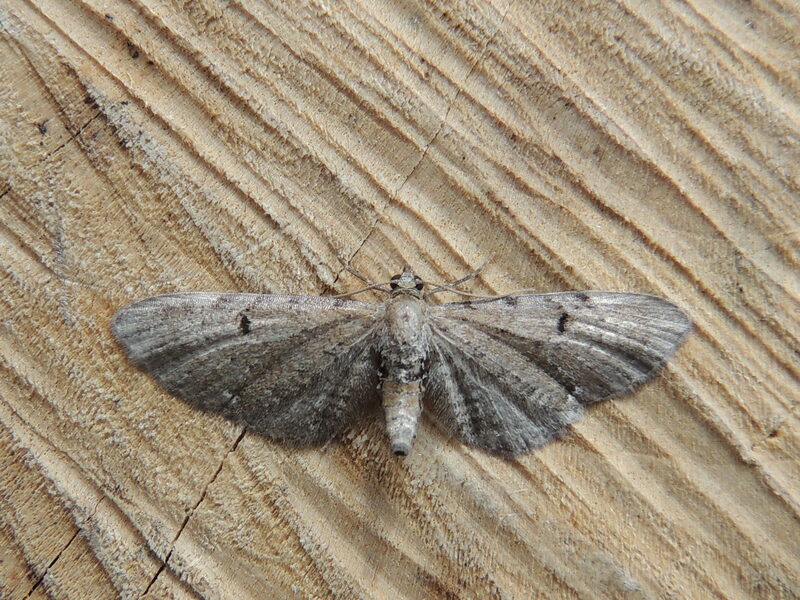 Ling Pug Eupithecia absinthiata (Clerk) a species considered by some authorities to be a distinct species, by others a local form of the similar but larger Wormwood Pug. Thanks to Phil Lee for the two images above, both Crowle specimens. 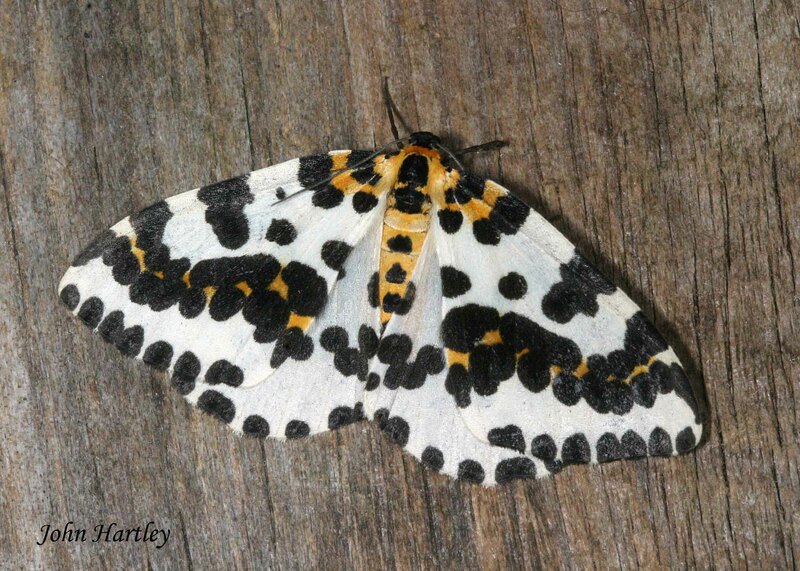 John Hartley recorded this specimen of Magpie moth Abraxas grossulariata on neighbouring Thorne Moors and comments that it used to be more common than it appears to be at present and from my own memories I’d probably be inclined to agree with him – would you? 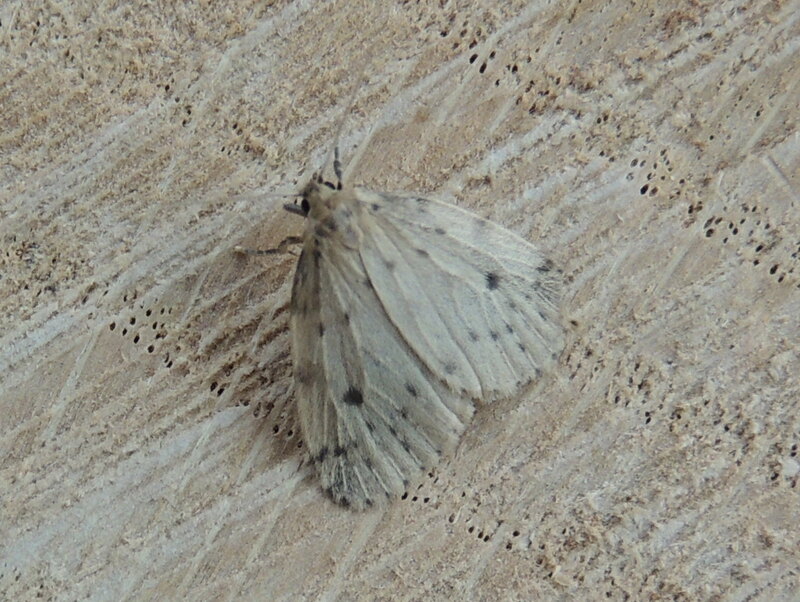 Obviously it depends where you walk but it’s as likely that you might flush a Clouded Border Lomaspilis marginata as the larger cousin. Readers may recall our post about blogging being good for conservation ? Well, driven by frustration the Executive have now used another on-line campaign tool in an attempt to draw to the public’s attention some rather ‘quiet’ activity being undertaken by Natural England. In 2011, senior directors within Natural England proposed Open Access under the Countryside Rights of Way Act across all their freehold National Nature Reserves. Remember that these sites are ours, i.e. public. Remember too the local campaigns ‘fought’ to secure the sites for posterity, particularly those here at Thorne and Hatfield Moors, were driven by grassroots activists, see the recent page created to provide a campaign chronology. So, National NATURE Reserves, surely the clue is in the name? The sign above accurately reflects, in the opinion of the author of this post, what ought to be the ethos of NNR raison d’etre. The Forum’s Executive have sought answers to many points but those below have yet to receive responses in sufficient detail. Has Natural England secured sufficient funds in order to finance in perpetuity the monitoring, and management of of Natura 2000 sites to ensure that any conditions and restrictions necessary to protect the special interest as a result of Dedication for Open Access under the CROW Act can be maintained in perpetuity? Can Natural England confirm that where it cannot be determined at the outset, that a Project to Dedicate Open Access on a National Nature Reserve which is a Natura 2000 site, will not have the potential to have a likely significant effect on the special interests for which the site is designated, then a full Appropriate Assessment as required by the EU Habitats Directive/Habitats Regulations 2010 (as amended) and involving the public where appropriate will be conducted to inform the acceptability of conditions or other restrictions necessary to ensure there is no harm to the special interest of the Natura 2000 sites before any dedication takes place? Can Natural England confirm that as Dedication of Open Access under the CROW Act cannot be carried out conditionally that full funding and resources are in place and legally binding to ensure that the monitoring, management and controls necessary to protect the special interest of National Nature Reserves which are Natura 2000 sites in perpetuity, must be guaranteed in perpetuity at the moment of dedication, otherwise the Dedication cannot proceed? Then there is the matter of open and transparent public consultation, that is to say demonstrable implementation of a democratic process. Senior Directors offered to arrange a closed meeting in June but since we proposed including the public there has been prevarication and laterly a deafening silence. There also appears to be an avoidance to ensure compliance with the Habitats Directive. We are not yet convinced that the Chinese Walls that NE insist will ensure there will be no Conflict of Interest between regulatory compliance and access staff interests are of the appropriate material. The Board paper NEB PU28 03, para 3.7 suggests that whole project costs will be in the region of £40,000 but correspondence received has already indicated an annual figure of around £73,584 not inclusive of the £40,000 which is available for ‘establishment’ of Open Access is necessary. Many NNRs are in unfavourable condition status and some in unfavourable declining, including parts of Thorne and Hatfield Moors SSSI, so why therefore when access already exists on these sites would anyone divert money from ensuring that we comply with achieving favourable conservation status to encouraging inappropriate access across dangerously deep peat bogs awaiting those unfamiliar with the complex nature of the sites? Why place at risk the SPA interest of the site? See the post “Skylarks under foot as gates opened?” Factor in that there has already been one dog attack on a member of the public on Hatfield Moors. This was reported to the police because previous approaches to Natural England were dismissed as being trivial. So, please consider signing the Forum’s petition on the 38 degrees Campaigns By You website. Please help us to spread the word, help us to ensure that Thorne and Hatfield Moors are safeguarded for future generations. 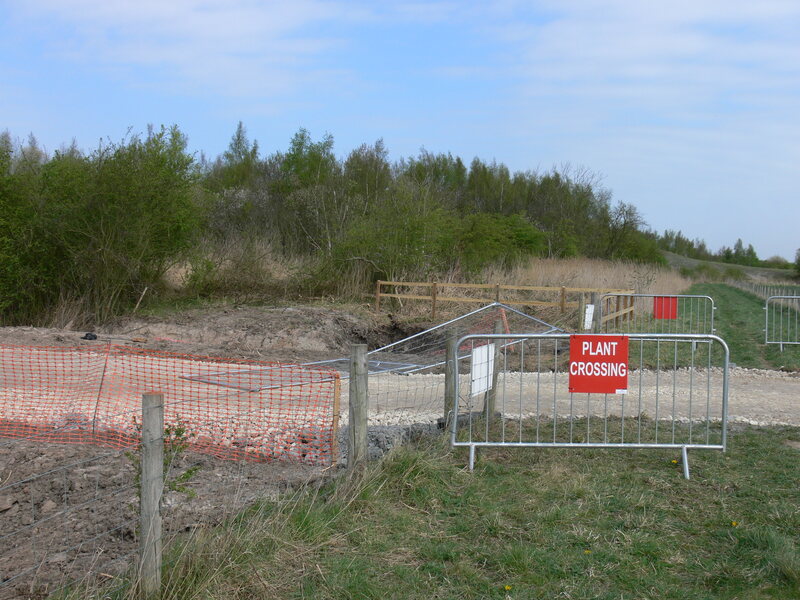 Perhaps finally (for this post), to add that we are not oppossed to appropriate access on NNRs, de facto open access already exists here at Thorne and Hatfield Moors SSSI. We simply seek proper process, open and transparent consultation based on science and underpinned by the acceptance that these sites are the gems in the nations natural crown jewels. We simply ask STOP & RETHINK. 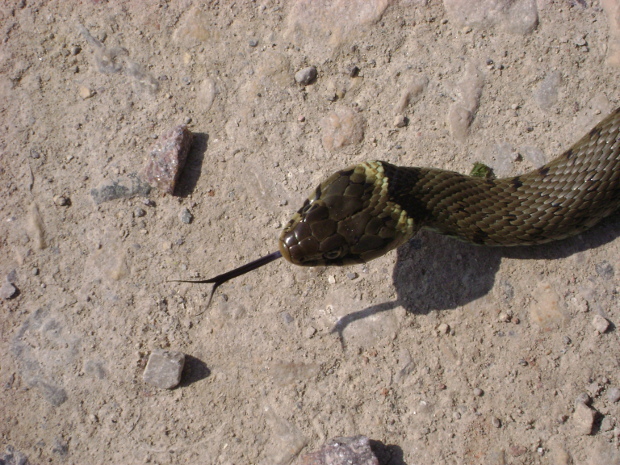 The image of a Grass Snake below, sent in by Bryan Wainwright, illustrates clearly the species distinct collar with two yellow patches each with a black crescent-shaped mark to the rear. Females are larger than males and also have broader heads with less distinctive yellow patches and which in older individuals may be absent. Whilst reasonably common on Thorne and Hatfield Moors they can also be encountered in gardens, indeed the leathery eggs can often be found in compost heaps or young emerging from those grass heaps in August and September. A recent slough from my garden measured 75cms maybe a little more but it had begun to dry and ‘shrink’ when I measured it. 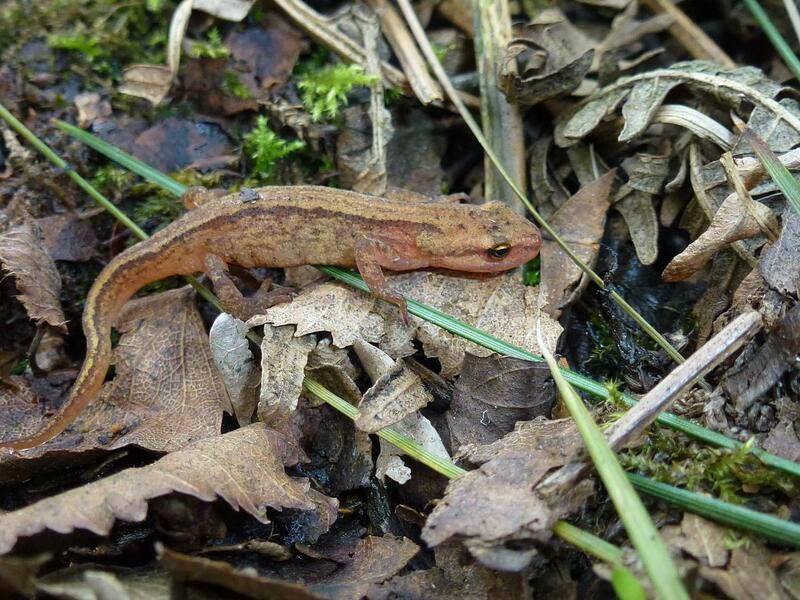 This image below, taken by Matt Blissett, depicts an immature Smooth Newt, recently metamorphosised was taken on Crowle Moors at the beginning of July. It is an interesting record as Smooth or Common Newts as they are also known are generally regarded as prefering neutral to slightly alkaline pH. 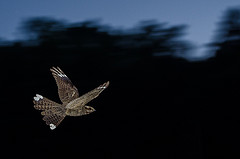 The spectacular image below of the SPA interest feature of Thorne and Hatfield Moors, the enigmatic nightjar shows clearly the distinctive white patches which indicate that this is a male. They arrive in the uk at the end of May and begin to take up their territories and announce that fact with their evocative and magical churring. These birds are crepuscular in their habits (appearing at dawn and dusk) but can occasionally be flushed during the day. The species, which is protected in law, is susceptible to disturbance by walkers, particularly those with dogs off leashes. An annual survey is undertaken on Thorne and Hatfield Moors but it is a basic count of churring males and does not provide any indication of breeding success, fledging or numbers of broods etc. For more of his spectacular images go to Tim Melling’s flickr site. See also Mark Avery’s blog where a stunning Purple Emperor adorns Mark’s post. 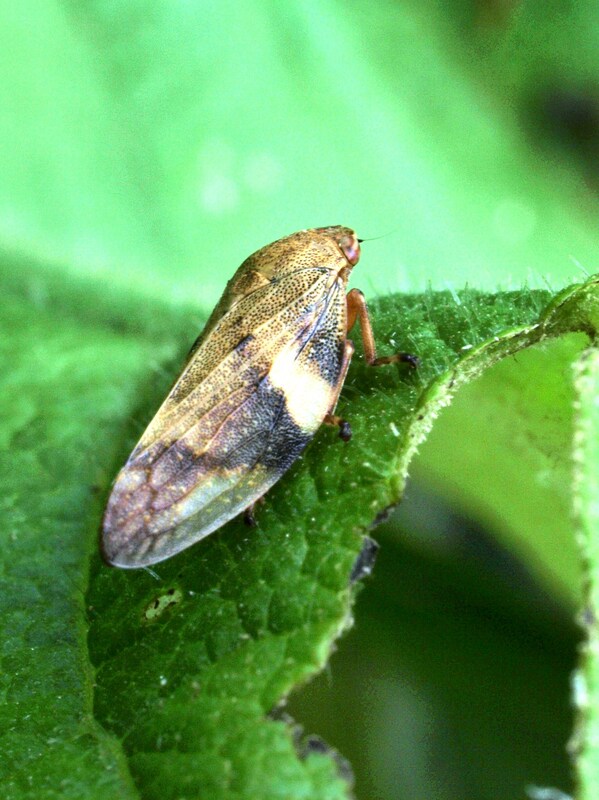 The ‘spittlebug’ below, taken by Steve Hiner (Natural England) is probably Aphrophora alni Alder Spittlebug. A common froghopper and recorded from both Thorne and Hatfield Moors. The image below, another of Steve’s shows Strangalia quadrifasciata a colourful and common longhorn beetle. Associated with old woodland and particularly oak, alder and sometimes willows. The larvae are wood borers in wood, stumps and logs. So, nothing controvertial today, just items of natural history interest while they can still be had, enjoyed and shared. Skylarks underfoot as ‘gates are opened’? The delightful image above sent by Bryan Wainwright shows a fledgling Skylark. Sharp eyed Bryan in his own words “shood the bird to safety” as it froze and remained motionless in the hope of danger passing it by by. Nearby I watched as a Redshank adopted distraction tactics to try to ensure the safety of its offspring. These strategies offer an insight into the risks posed to young birds if Natural England proceed with their proposal and open the gates on their 87 National Nature Reserves across the country to Open Access. The observations reminded me of an incident a couple of years back when management work (in the bird breeding season) was being undertaken to facilitate ‘disabled access’ on Hatfield Moors. A pair of woodlark, a Schedule 1 (WCA 1981) species were on territory but as judge and jury of impact of their work and a limited window of availability of men with machines Natural England decided to displace the birds and disrupt their breeding. There are many papers offering good case studies where increased access and dog walkers have had negative impact upon ground nesting birds particularly. Recreational use of forests and disturbance of wildlife is a useful literature review detailing case studies undertaken in forests since 1990. Two species subject to studies, nightjar and woodlark are key species on Thorne and Hatfield Moors SSSI and two species likely to be impacted upon by increased recreational use being encouraged by Natural England. What is the impact of public access on the breeding success of ground nesting and cliffnesting birds? Is a Systematic Review and another resource worthy of a read. It synthesises the findings of a number of studies of disturbance to nightjar (albeit on southern heathlands) and it does not offer much hope for us here when the gates are opened. A Review of Disturbance Distances in Selected Bird Species is a Scottish Natural Heritage commissioned report undertaken in 2007 and it too makes depressing reading in terms of likely significant effect on the productivity of breeding nightjar the SPA interest of Thorne and Hatfield Moors. Already there has been one dog attack and a member of the public bitten recently. The victim then subsequently reported the incident to the police. That bite was at a level of a childs face but it was dismissed as a one off and no further action taken. A case might be made, certainly here on Thorne and Hatfield Moors that there already exists de facto open access. What’s wrong with that? Why mend something which isn’t broken, why spend diminishing budgets on access maintenance rather than ensuring that the sites achieve ‘favourable condition status’ as ‘natural jewels in the public crown’, as best examples of National NATURE Reserves, and European Natura 2000 sites? They are not countryparks or themeparks they are National NATURE Reserves. Does this matter after all nature is a resource, The State of Nature, something that the ‘Welsh bard’ Iolo Williams made an empassioned plea to us all to do something about before it is too late for our grandchildren to inherit. See also the early warning offered here. In a single lifetime the wilderness that was Thorne Moors is now surrounded on all points of the compass with industrial clutter which can be seen and heard if you stand on the viewing platform in the middle of the moor. No longer can a visitor easily hear the drumming of the snipe or the churring of the enigmatic nightjar they are all too frequently drowned out by cheap holiday flights overhead or wind blown noise pollution from the neighbouring industry or road systems. In principle the proposal seems not an unreasonable one but there has, in the view of the Executive been a lack of open and transparent public involvement. The consultation, if the exercise could be described that, has been conducted outwith the public gaze and with organisations whose focus appears other than nature conservation. There has not been, to our knowledge been any open meeting to which the public have been invited. Must what is left of England’s largest lowland raised mire be ‘moor’ eroded and lost to local people for the benefit of short term gesture politics? What would the late Wm Bunting have made of this? He would certainly have challenged the notion that NE as judge and jury could not avoid legislative compliance. Bunting would certainly challenged the fact that NE be allowed to assess the project which they themselves are primary proposers. One might be forgiven for drawing the analogy with MPs designing their own expense system or failed bankers expectation that the public purse will fund bail outs? A Senior Director of NE has offered to attend a meeting but that was a couple of weeks ago and we are still awaiting a response in terms of date ahead of any definitive announcement in respect of dedication. Posted in Executive Secretary | Comments Off on Skylarks underfoot as ‘gates are opened’? Libellula quadrimaculata oblivious to observation as it tucks in to a hearty lunch! The Four-spotted Chaser above, photographed on Crowle Moors recently appeared unconcerned by the attention of admirers as it settled to feed on the Large Red Damselfly it had caught for its lunch. For more information on dragonfly and damselfly identification and ecology visit the British Dragonfly Society website. With the advent of pocket size digital cameras with decent macro options, images are easily obtained and then in many cases identifications can be made from them. Thanks to all contributors for sharing their finds and adding to the data held on the biodiversity to be found on the Humberhead Levels, particularly Thorne and Hatfield Moors. 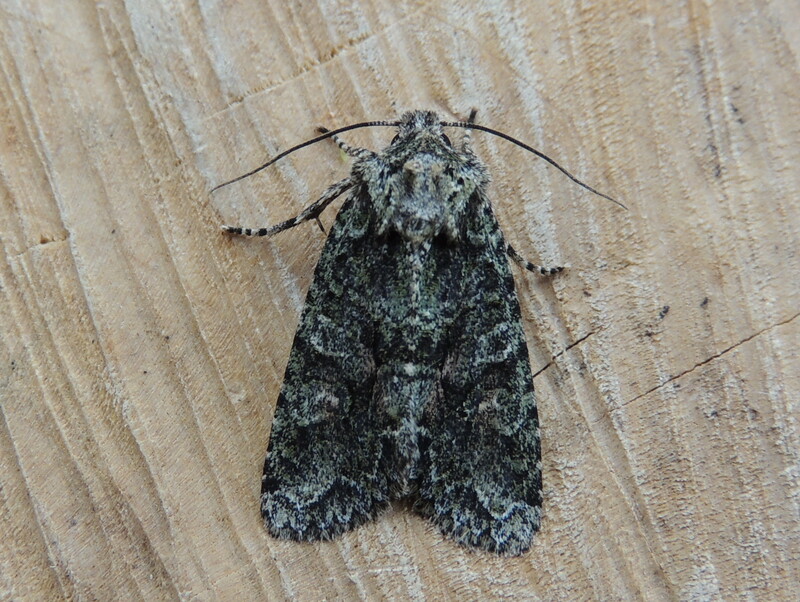 The three images on today’s post have been sent in by Matt Blisset (Lincolnshire WT). The two here are of the common longhorn beetle, Rhagium bifasciatum and all are excellent examples of opportunistic recording. 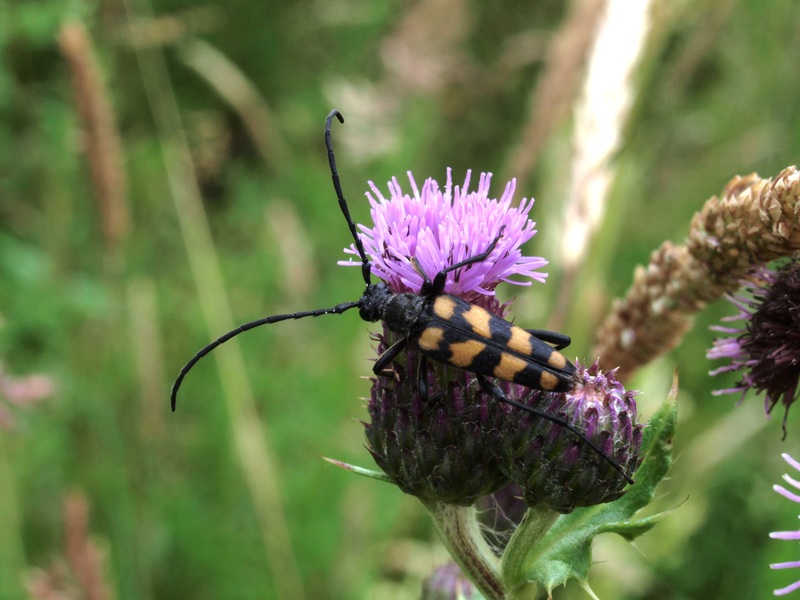 The longhorn beetles are vegetarian in their diet and as such not always popular with foresters. Their larvae are a food source for woodpeckers who will break open decaying timber to extract them. In late spring and early summer adults can be observed feeding on pollen so keep an eye on hawthorn, dogwood and hogweed flowers. The one thing that is certain about Thorne and Hatfield Moors is that things are certainly unpredictable. The sites are recognised as being exceptional for the diversity of species to be found by anyone with any degree of patience and observational skill. Rewards there are a plenty, recent blog posts atest to that. A good website Cerambycidae which will help with identification can be found here. Another site with excellent images can also be found here. Happy hunting and let us know what you find. Remember also that if you’re in York this Sunday come and meet us at the Royal Entomological Society Insect Festival in the Yorkshire Museum Hospitium and Gardens. The two images taken by Steve Hiner (Natural England) illustrate the beauty particularly when viewed in close up of Common Spotted Orchid, a species showing well out on Thorne Moors at the moment. The species common or vernacular name is derived from the spots on the leaves of the plant. Generally found in grassy places and associated with lime. Compare the above spike to those of the previous post to see the difference and salient features which distinguish the two species. Get to grips with the common species then start to wrestle with the complexities of the many hybrid orchid species. 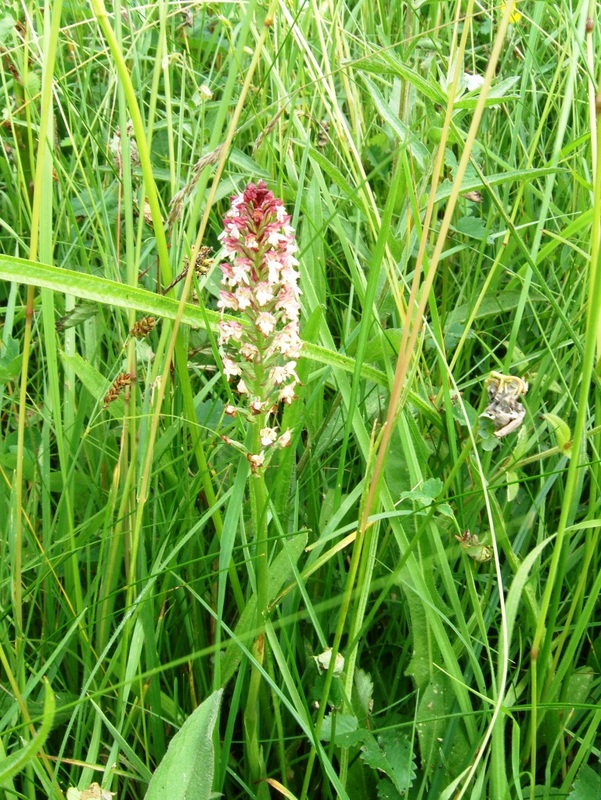 The image below taken by Peter Kendall, illustrates a very uncommon species: Burnt Tip Orchid. Uncommon and very localised in Yorkshire, this specimen is a Humberhead Levels one. 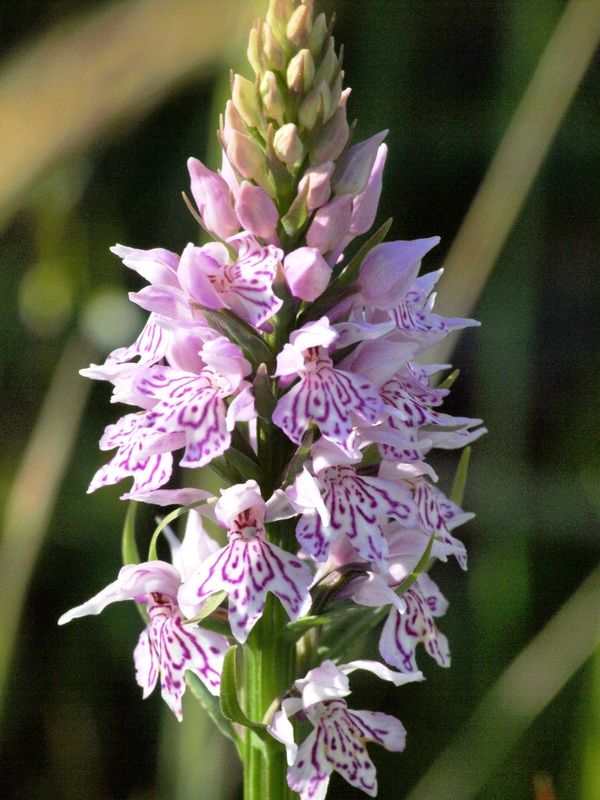 An excellent paper by M J Y Folley (1992) The current distribution and abundance of Orchis ustulata L. (Orchidaceae) in the British Isles – an updated summary which featured in Watsonia 19: 121-26 provides a historic indication of its status. Since the publication of the paper it has undergone a name change and is now recognised as Neotinea ustulata. Some of the images featured in the blog posts will feature in the publication which reports on the three year Botanical Survey of Thorne Moors, a project initiated by Ian McDonald with the field work completed in 2012 (although species continue to be added in the current 2013 season). The project will publish the findings as a local site Flora and this will be the first time ever that a baseline species list will be available as an easily accessible publication. Despite several centuries of interest by naturalists there is not a site flora or comprehensive list available and this project will remedy that void. It is however recognised that as soon as the publication is in print that it will be immediately out of date as more species will inevitably be added to the local database but there will at least be a species list for the next cohort of field botanists to start to build upon and update in due course. 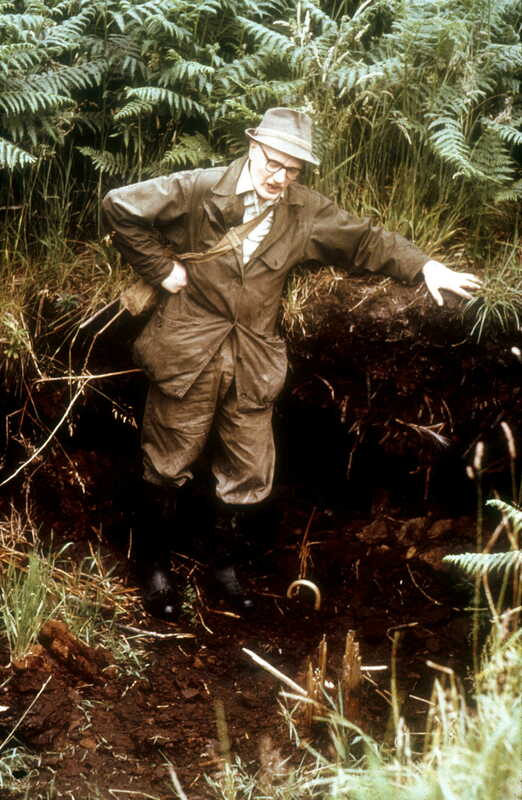 Species lost consequential of agricultural drainage and peat exploitation can be ‘discovered’ and lamented over in ‘obituaries’ in obscure and difficult to obtain journals. 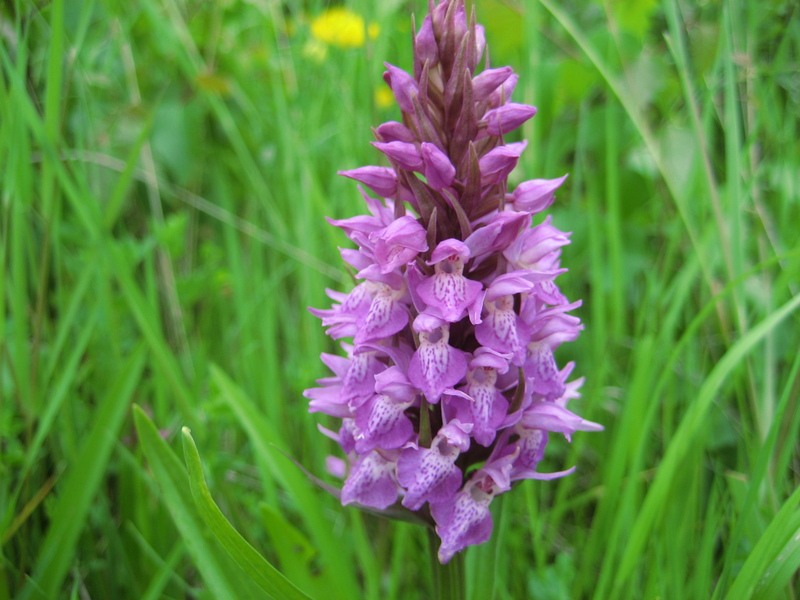 Whilst not exceptionally rare, the images below illustrate well a trio of relatively common orchids to be found on Thorne Moors and also its near neighbour Hatfield Moors. There are others to be found, contact us c/o execsec@thmcf.org and let us know what you discover. 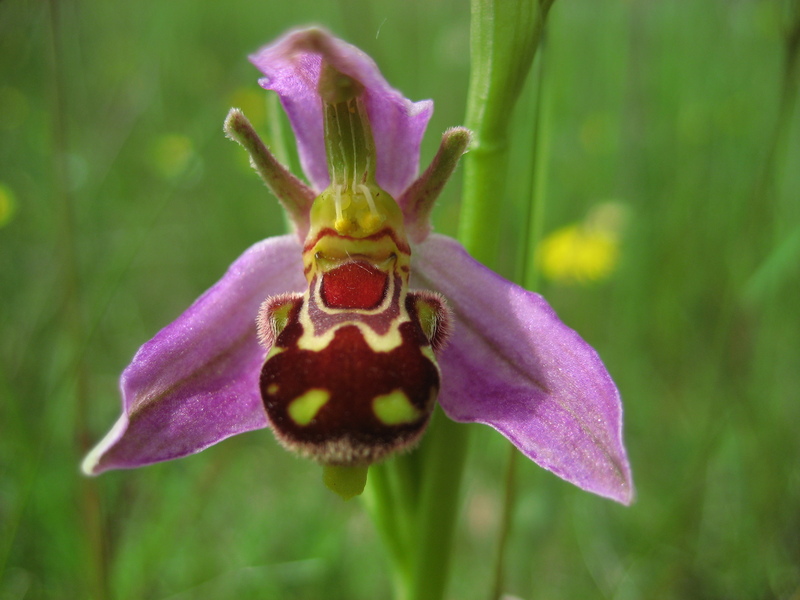 The delightful Ophrys apifera which mimics its namesake. Bee Orchids can be white as well as the more usual colouration shown below. 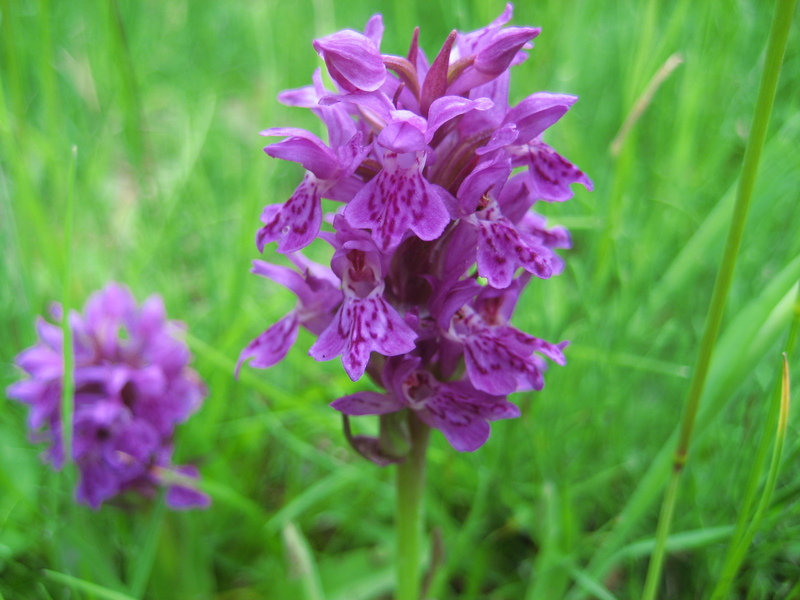 Dactylorhizia praetermissa or Southern Marsh Orchid, a species of damp grasslands, marshes and fens. Dactylorhiza purpurella or Northern Marsh Orchid another species with similar habitat preferences to D. praetermissa. An extremely variable species even by Dactylorhiza standards and introgression by other members of the genus makes identification difficult and hybrids need close scrutiny and are probably only really determined through analysis of their DNA, not really an option out there in the field. For viewers with a botanical interest and particularly for orchids, an excellent site full of first hand observations can be found here. 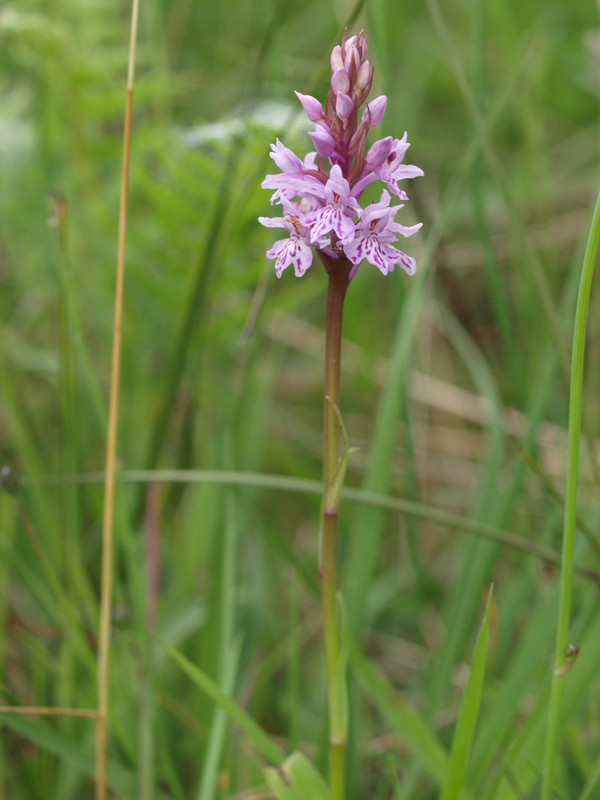 So, with better weather tempting more people out onto the moors let us know your interesting orchid observations. Contact us via execsec@thmcf.org. Images submitted by Ian McDonald. With the arrival of warmer weather there has been a noticable increase in insect activity. 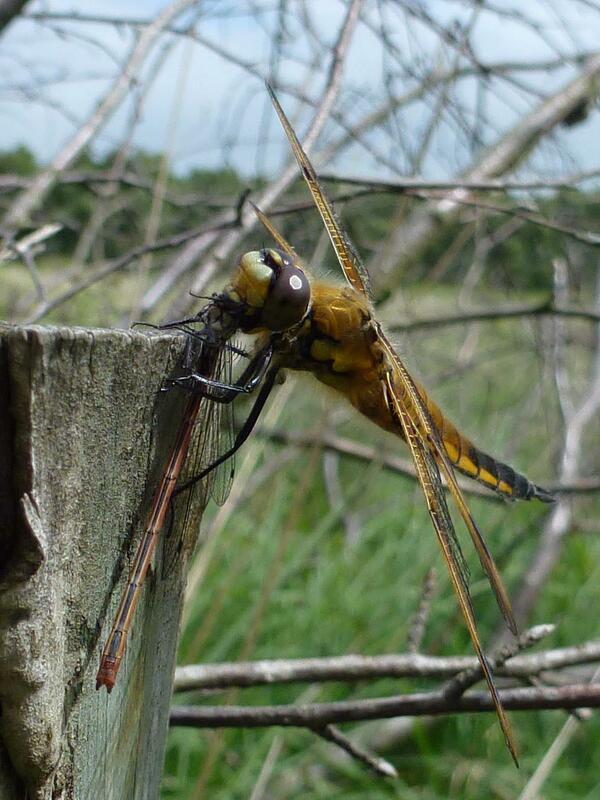 Good numbers of odonata have been seen on both Thorne and Crowle Moors. Butterflies too are more numerous with Brimstone and Orange-tips still around, Small Copper and Speckled Wood in reasonable numbers and recently Large Skipper added to the year list. Moth activity too has increased. Two recent sessions have seen some 42 macro species recorded on Thorne and around 40 on nearby Epworth Turbary, neither count included micros although two common species are illustrated below. Highlights have included good numbers of hawkmoths alongside other useful updates for the Humberhead Levels including Green Silver-lines, Peach Blossom and Birch Mocha to name just a few. The Pale Prominent and female Fox Moth below are two other species from the Thorne list. Both sessions logged Peppered Moth, interestingly black and pale as well as intermediate were present at Epworth Turbary. 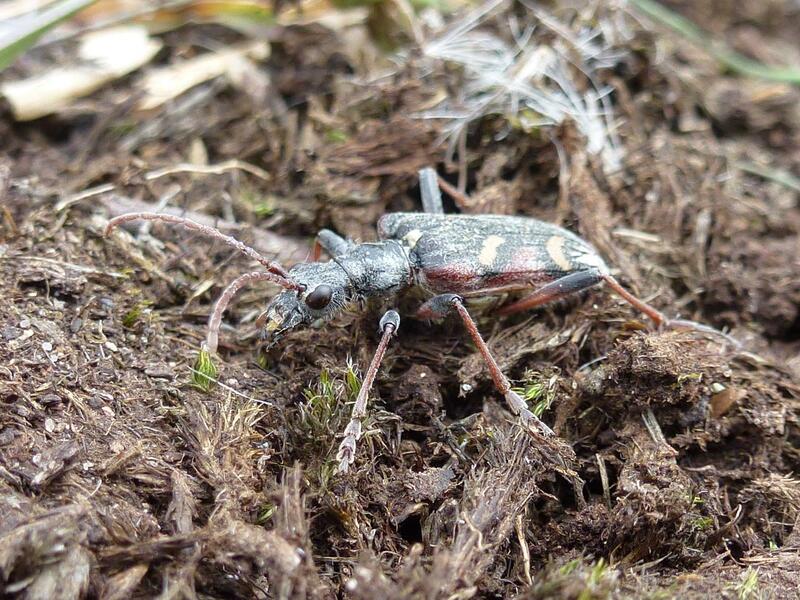 The stunning image below depicts a Red-breasted Carrion Beetle photographed by Steve Hiner on Thorne Moors recently. It is regarded as a common species of woodland feeding on carrion and rotting fungi and also found under dung and feeding mainly on other insect larvae. If you click on the image to enlarge it, the three longitudinal ridges can clearly be seen on the elytra. Thanks to Phil Lee, John Hartley and Steve Hiner for sharing their images. The sick ‘sport’ of badger baiting has, sadly, long been practiced across South Yorkshire and just when you think things are quietening down there’s a call for ‘legalised’ culling and a resurgence of illegal culling …. an equally sad fact is that Doncaster has the reputation of being the worst place in the Country for badger persecution. 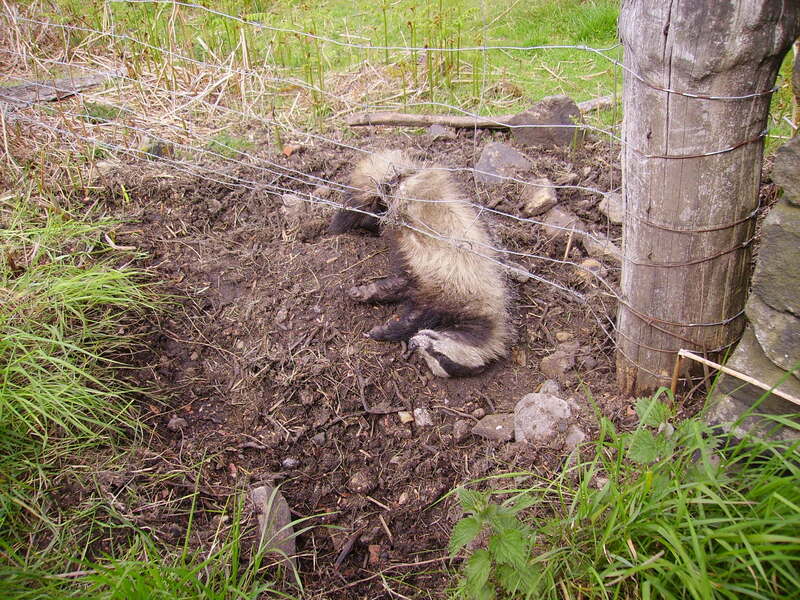 On Friday 3rd May, a member of the public reported two badgers caught in snares on Thorne Moors. The RSPCA, the Police and members of South Yorkshire Badger Group attended to find the badgers badly injured but still alive. They were taken to the vets where one had to be euthanized. The other was taken to an RSPCA Centre which has a resident vet. Snares can still be used to trap foxes and rabbits. Most legal snares can be adapted to become illegal self-locking snares but the snares in question, which were left on a badger sett, were not adapted but illegally manufactured from the outset. Such snares become tighter and tighter until the animal is strangled, injured, decapitated or disembowelled. South Yorkshire Badger Group believes that all snares should be made illegal as they are cruel and indiscriminate. Sometimes even cats and dogs get caught and are injured or killed in snares. We need the eyes and ears of members of the public to report anything suspicious if we are going to combat animal cruelty and save Doncaster badgers from extinction. the badger cull is an experimental trial confined to just two areas of the West Country. Everywhere else badgers are protected and persecution can carry a 6 month prison sentence or a fine of £5000. Despite this, badgers in the Doncaster area are heading for extinction due to the actions of a few misguided farmers and game keepers, but mainly due to an underclass of thugs with dogs, who patrol the fields looking for something to kill just for their warped entertainment. PLease if you see suspicious activity, do not put yourself at risk but try to note down any vehicle registration numbers, the site or grid reference (smart phones or phone apps are great for this), if you are able to take photographs then please do so discretely. Contact the South Yorkshire Badger Group on their 24 hour helpline number of 07722 590184 Or crime stoppers on 0800 555111. The Police can be contacted on 101 but if a crime is actually in progress, ring them immediately on 999. They are wonderful creatures, persecution is still illegal in this area. Posted in Executive Secretary | Comments Off on ‘Moor’ badger persecution ….